Friends From The Forest II. 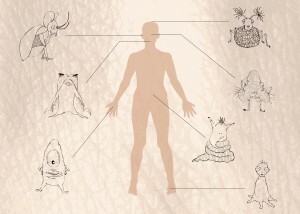 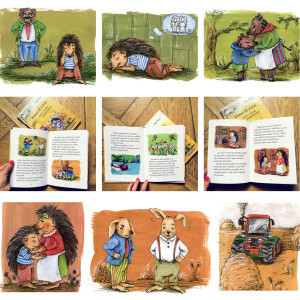 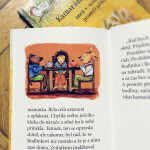 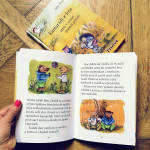 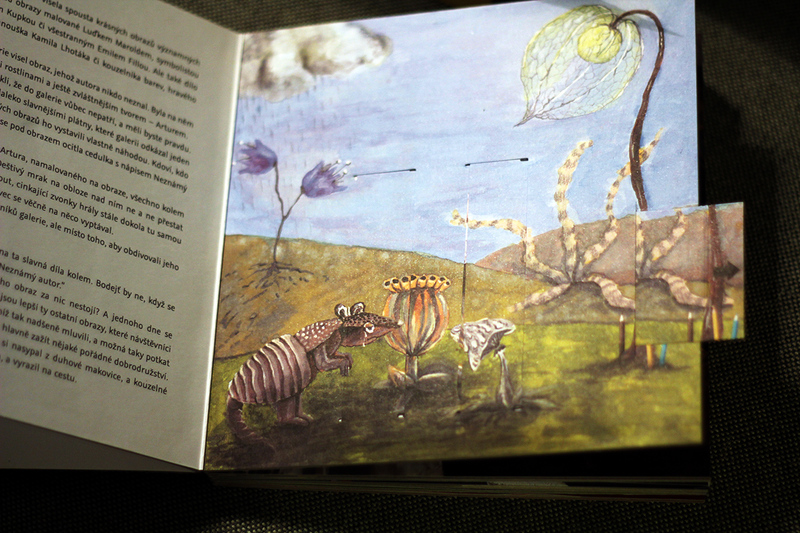 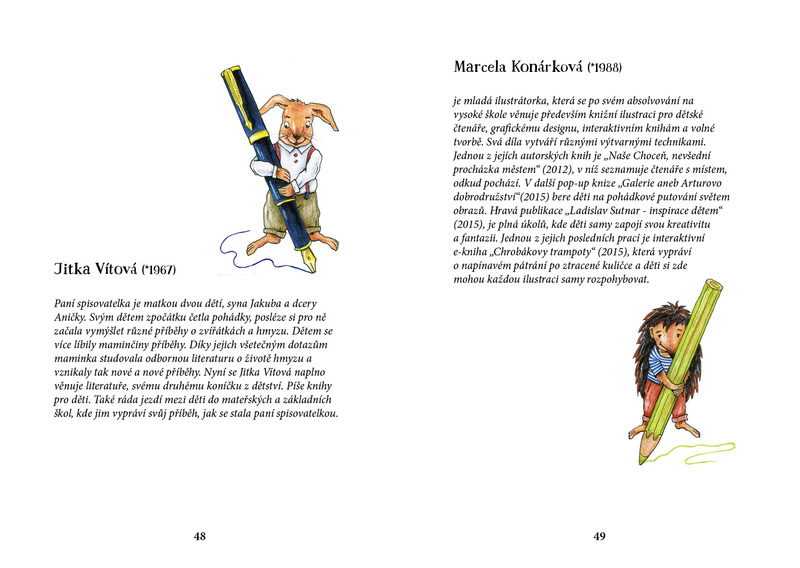 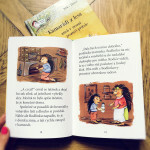 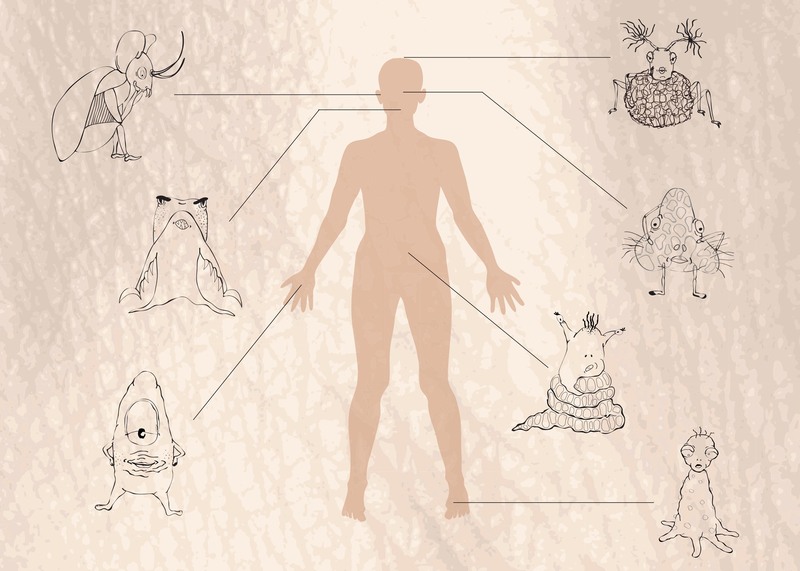 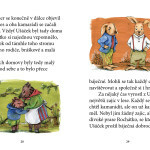 The book tells the stories of animals that you know from the first part of book – hedhehog, rabbits and pig. 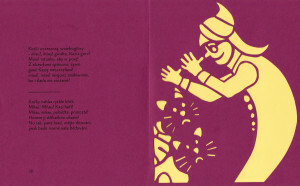 This time they added catty fox Ryška and frightened cat Kostička. 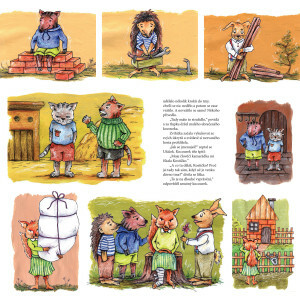 Even though fox harming small animals, she finally realized that only friendship brings the happiness. 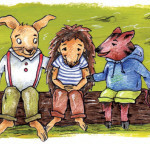 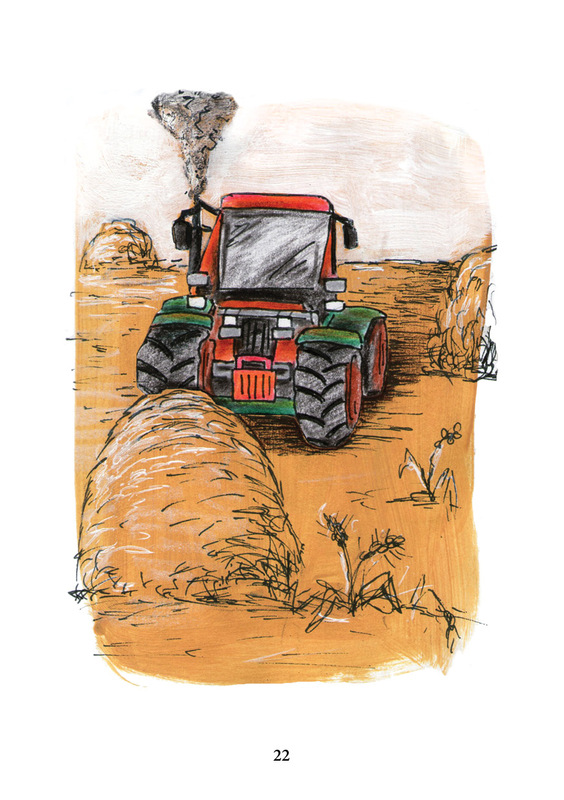 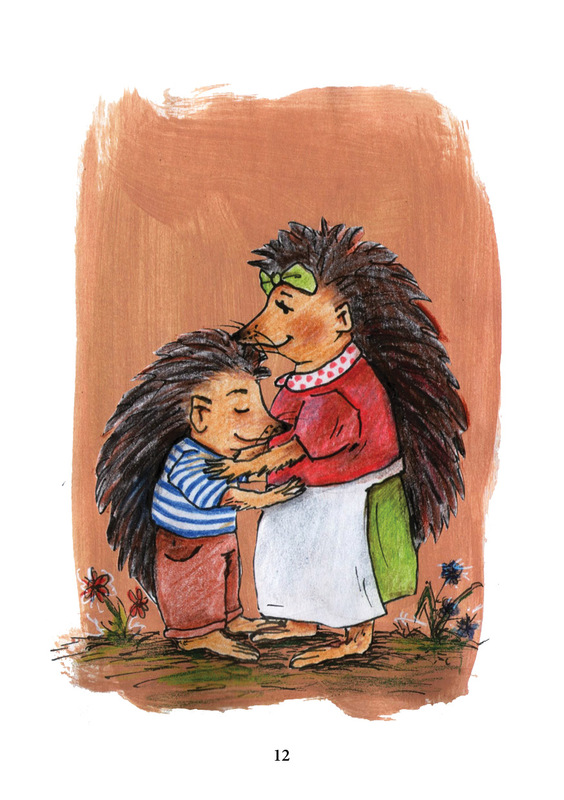 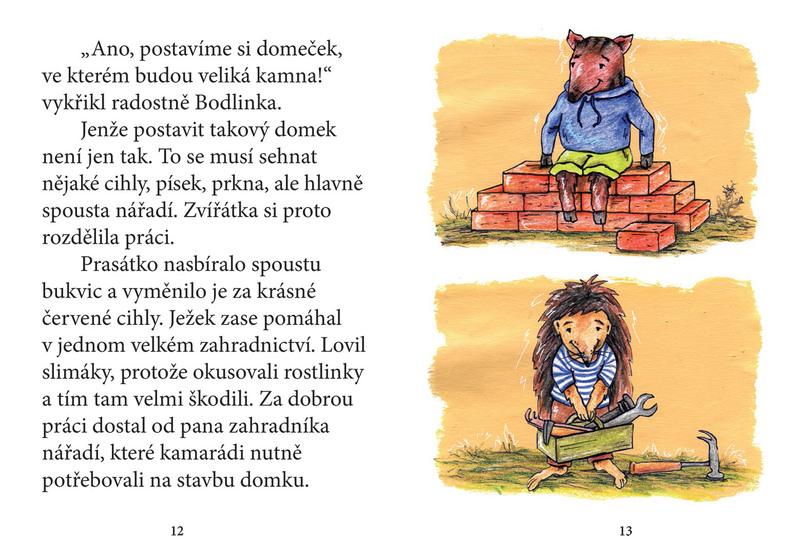 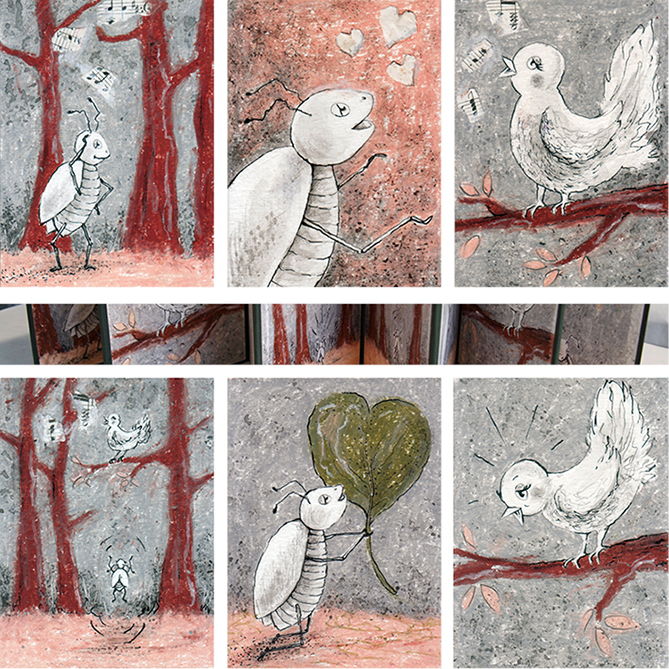 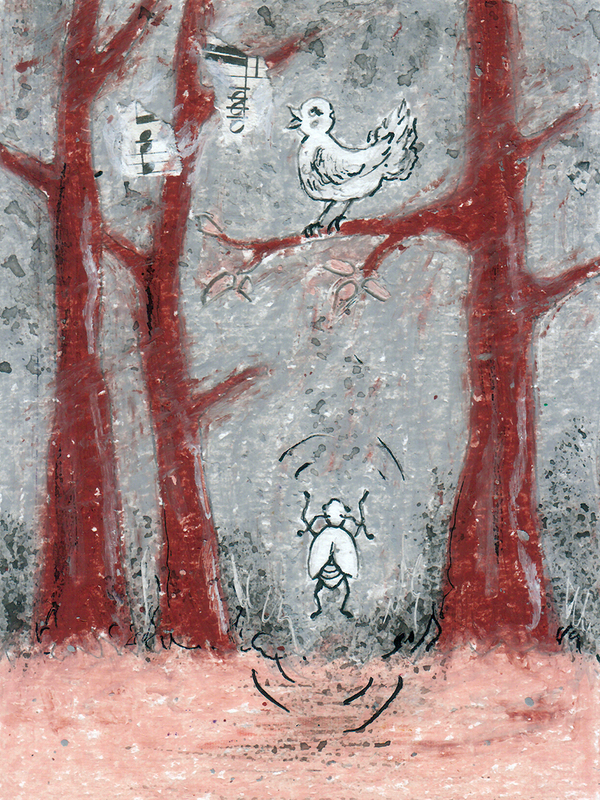 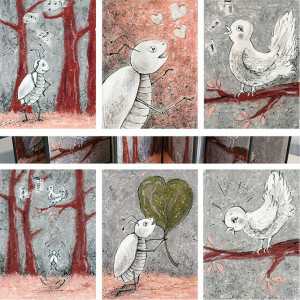 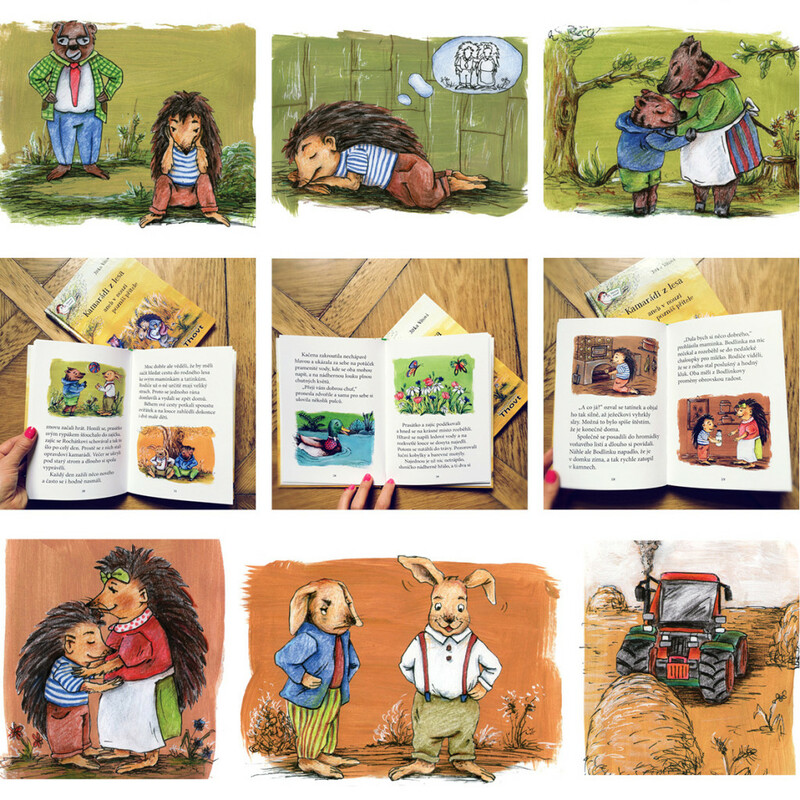 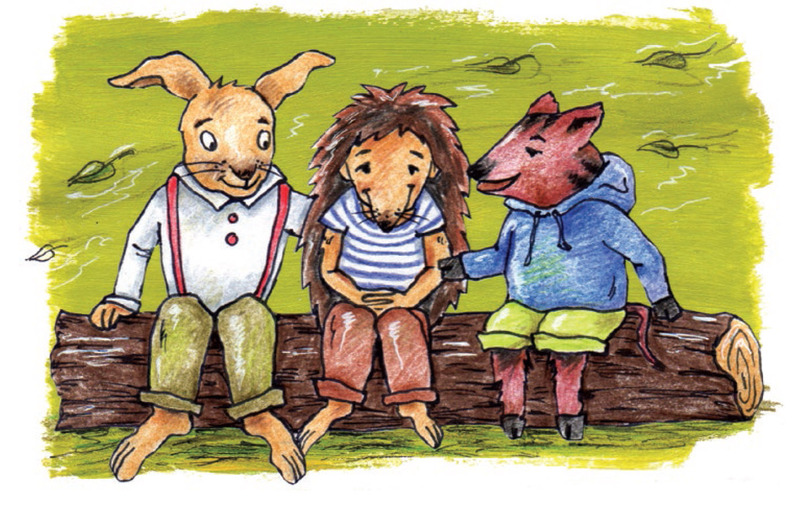 The book tells the stories of three animals – disobedient hedgehog , sad hare and friendly pig. 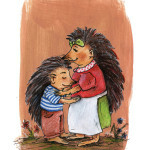 Animals become friends and together overcome the grief of the hare and trouble of the hedgehog. 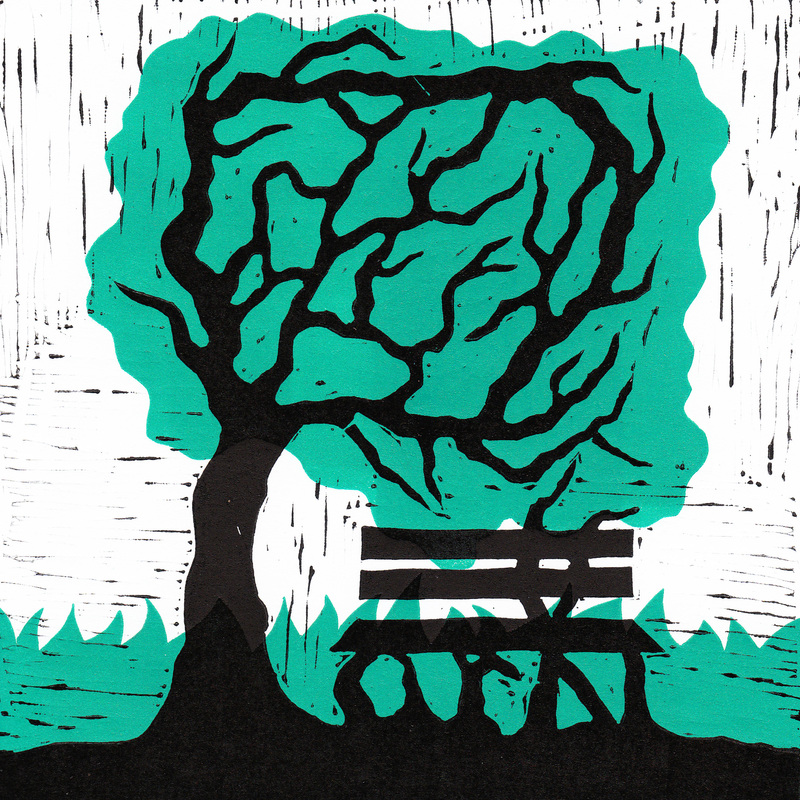 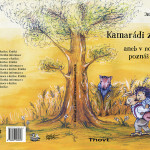 The book was published by Thovt publishing in 2016. 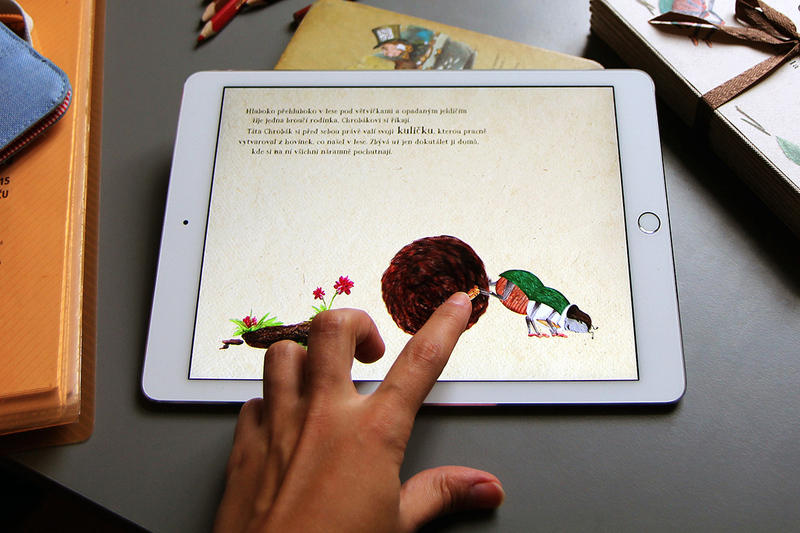 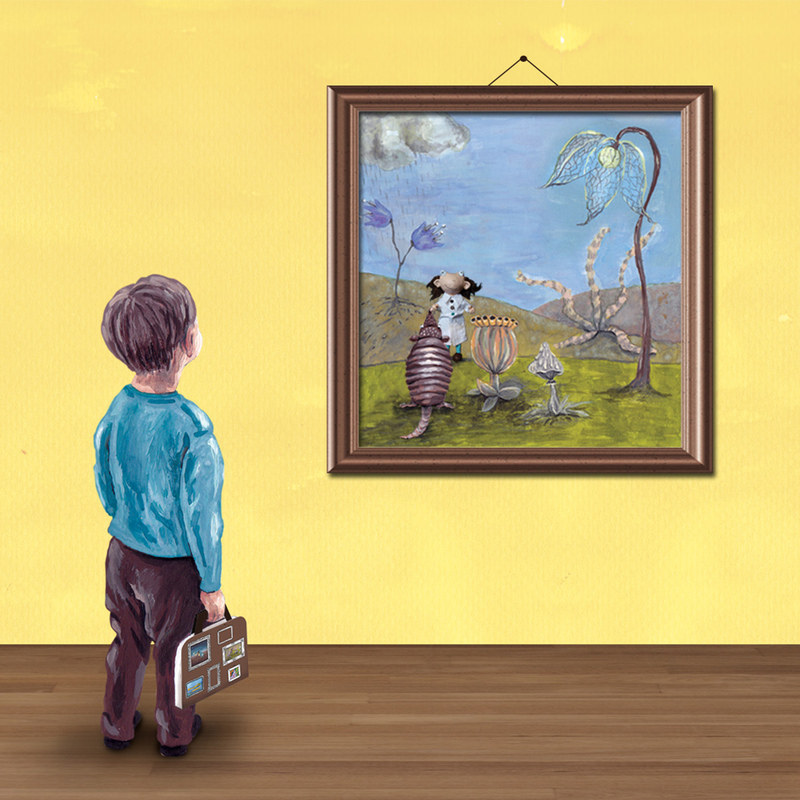 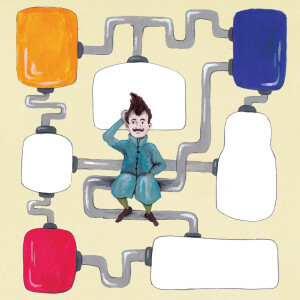 Digital interactive book for children tells the story about searching for lost ball. 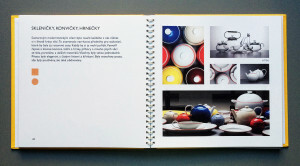 The book was originally created as a master’s thesis at Ladislav Sutnar Faculty of Design and Art. 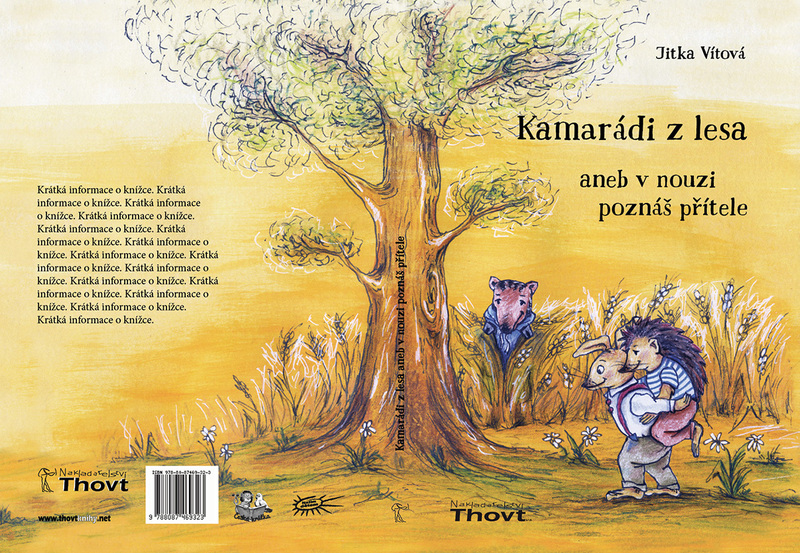 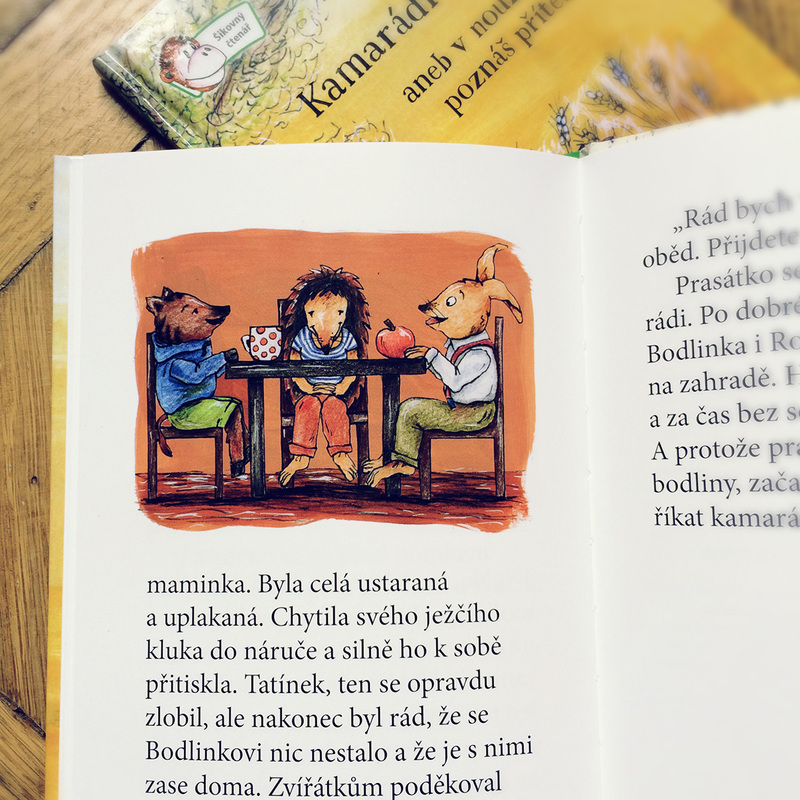 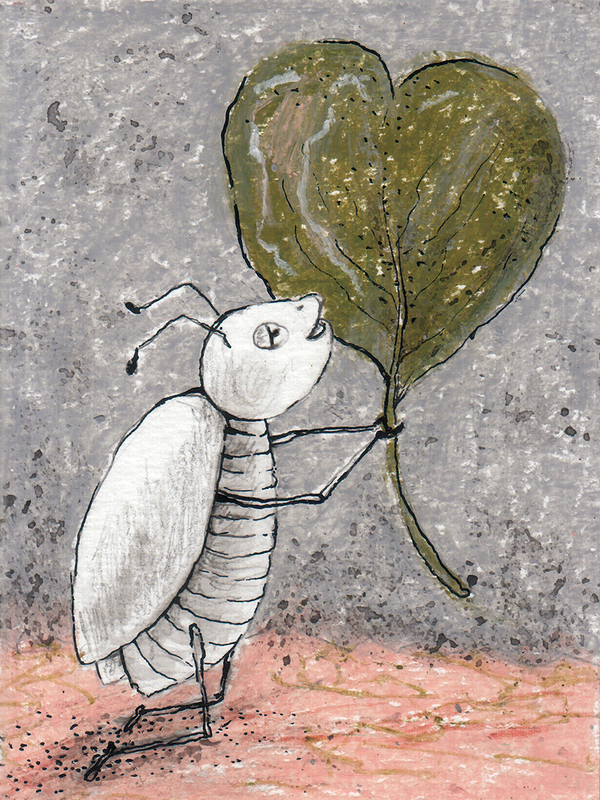 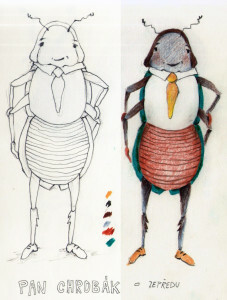 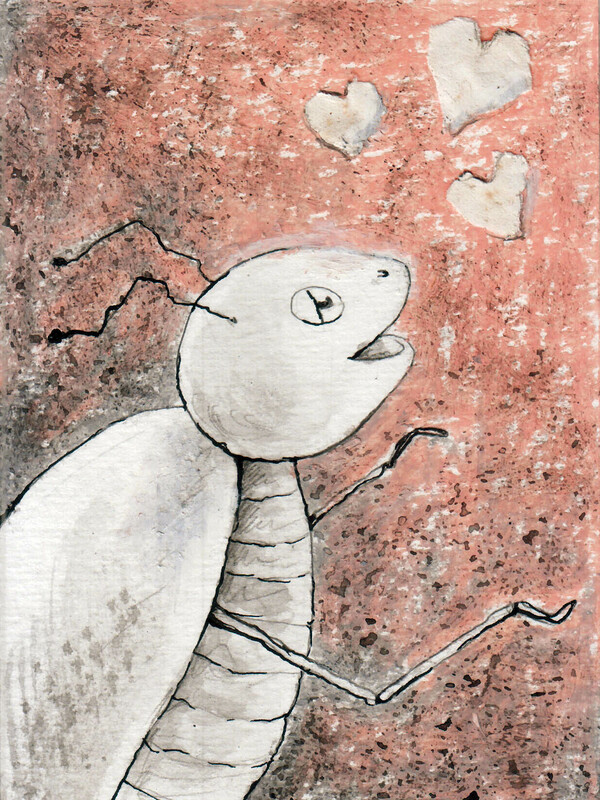 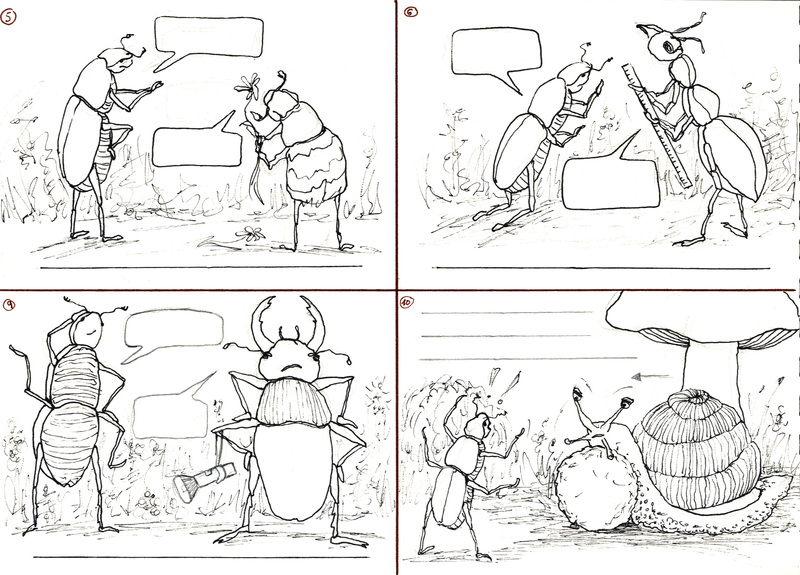 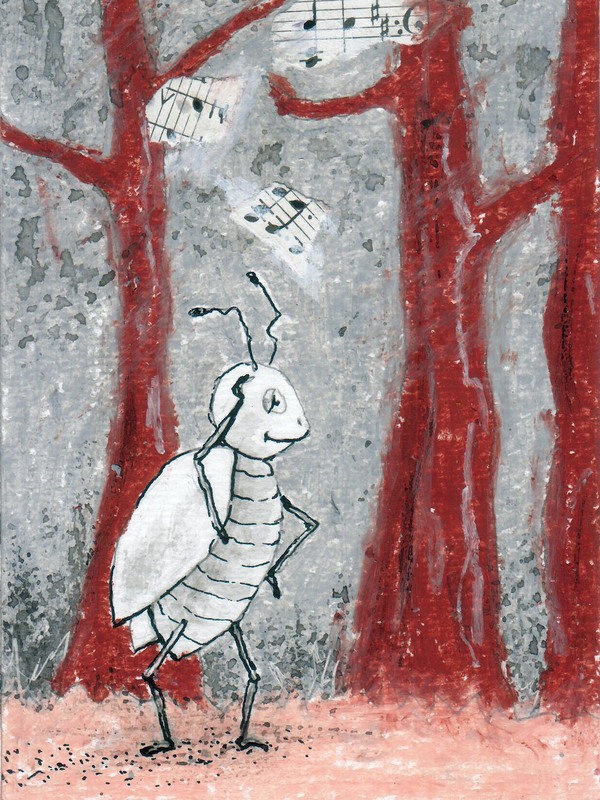 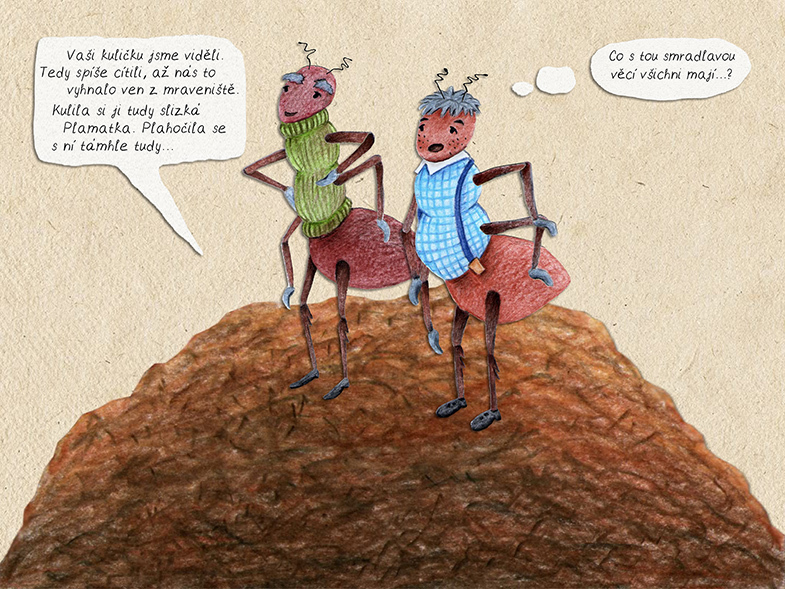 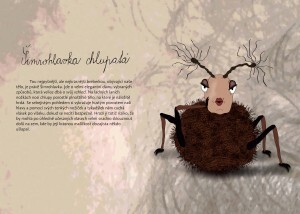 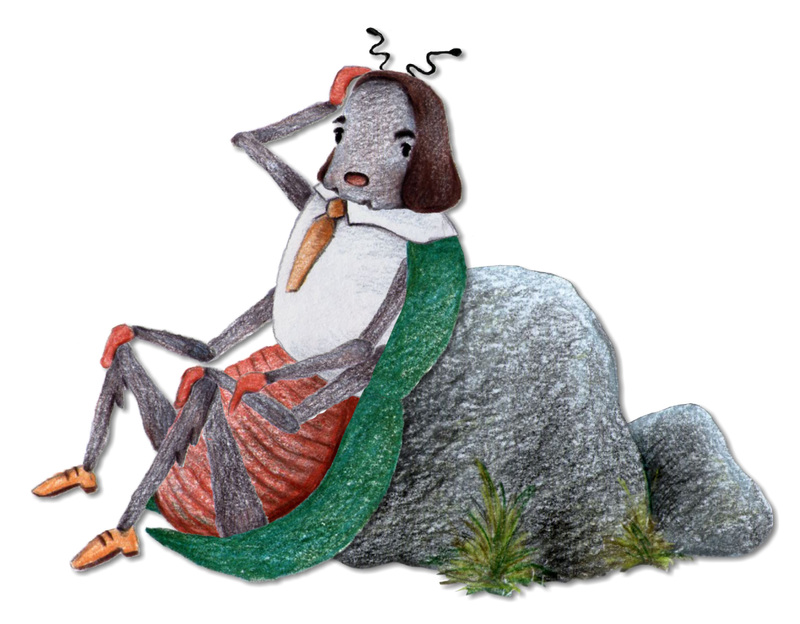 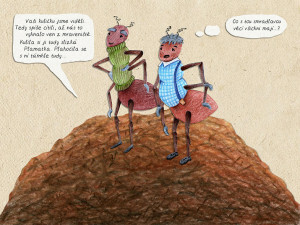 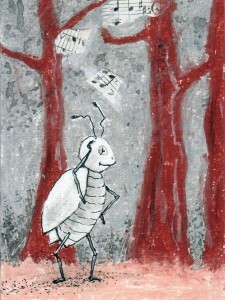 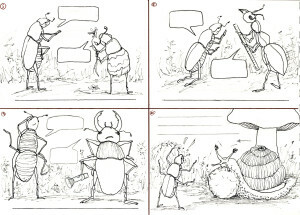 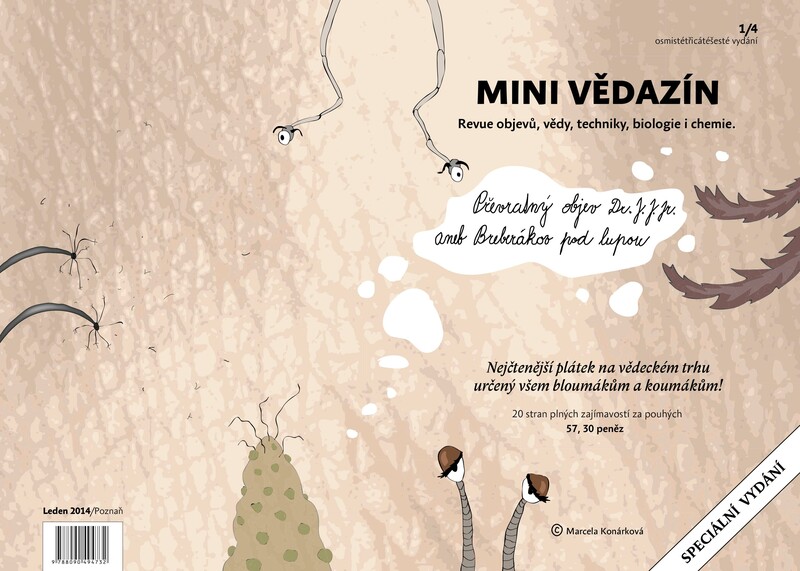 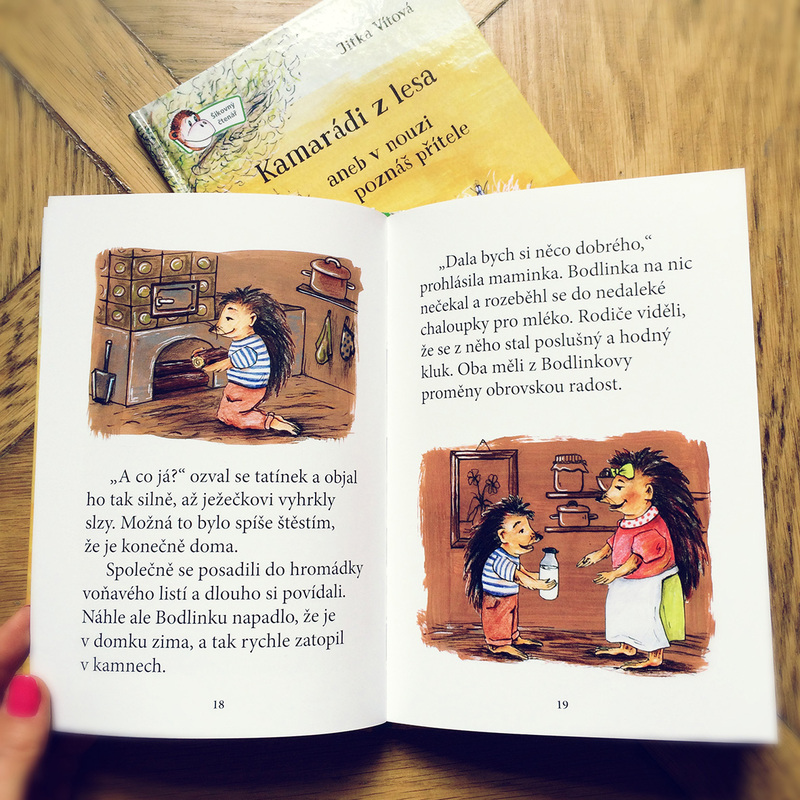 This beetle fairy tale of 21 pages with interactive illustrations is being told by a great narrator Pavel Liška (czech version) and Christer Kaitila (english version). 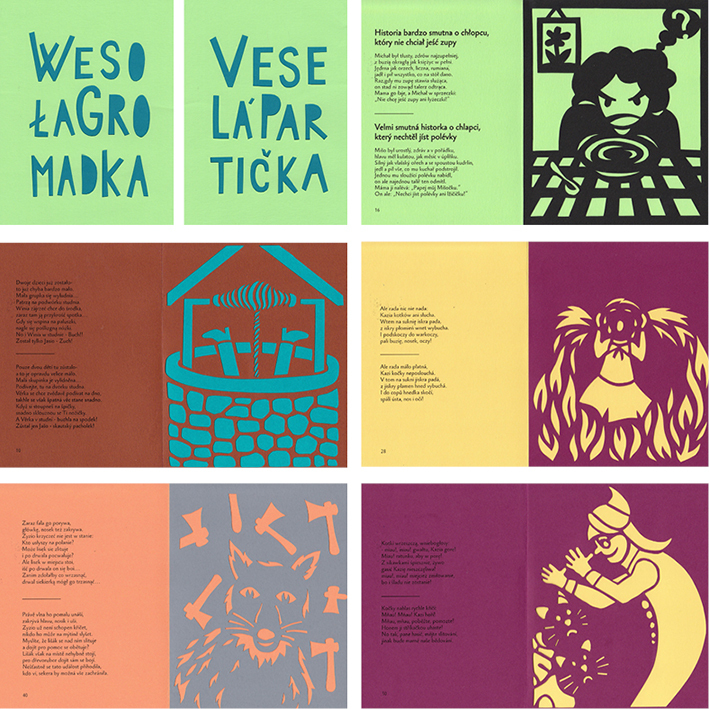 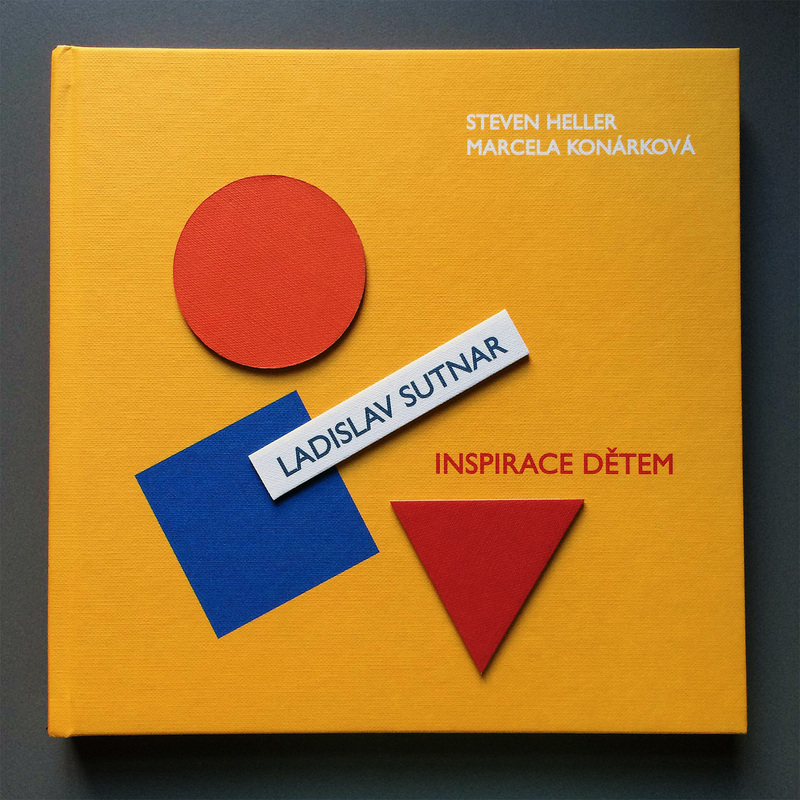 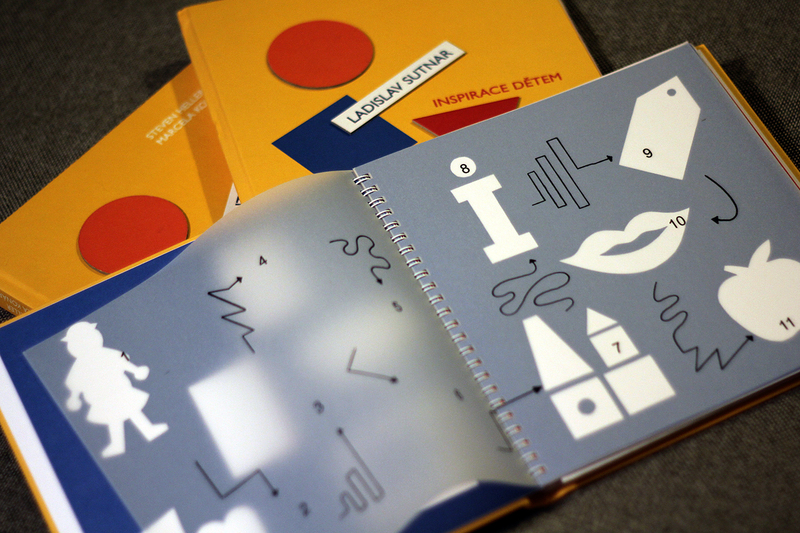 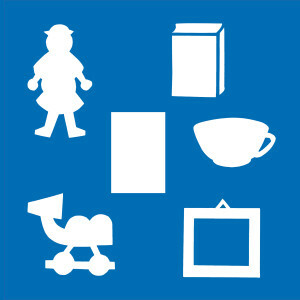 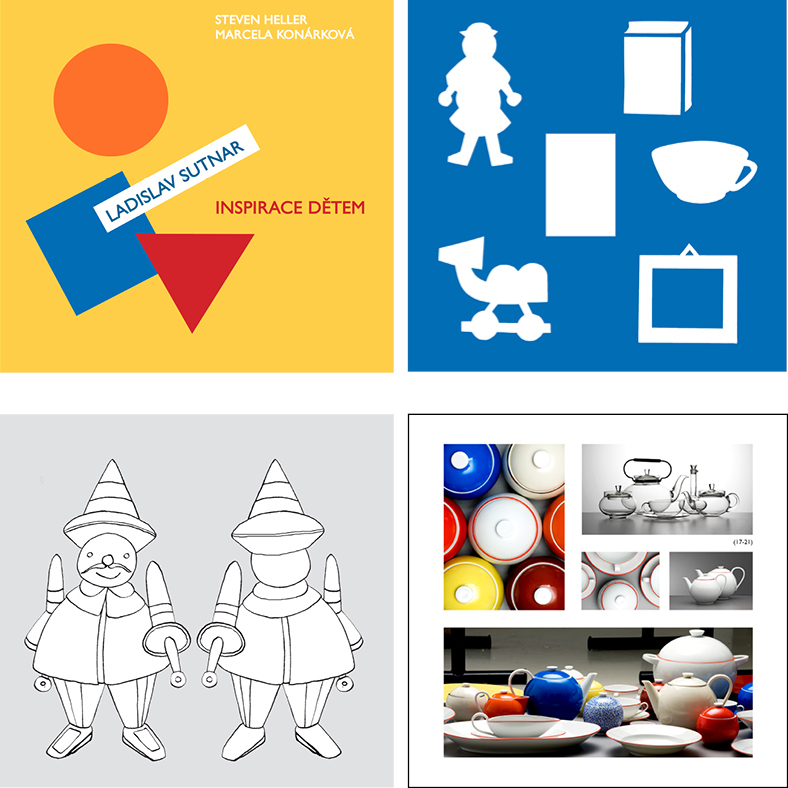 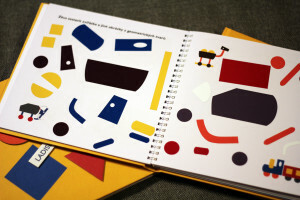 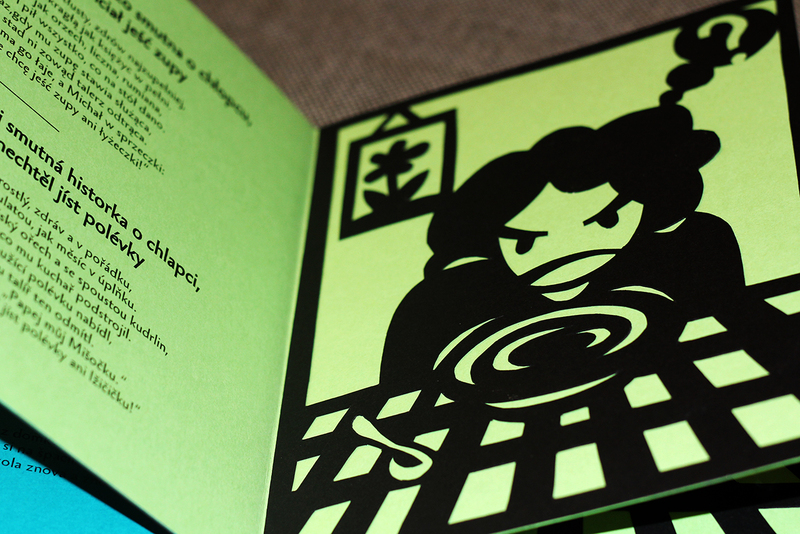 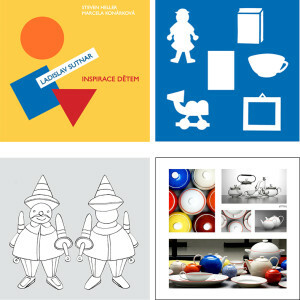 Interactive book for children about Ladislav Sutnar’s works. 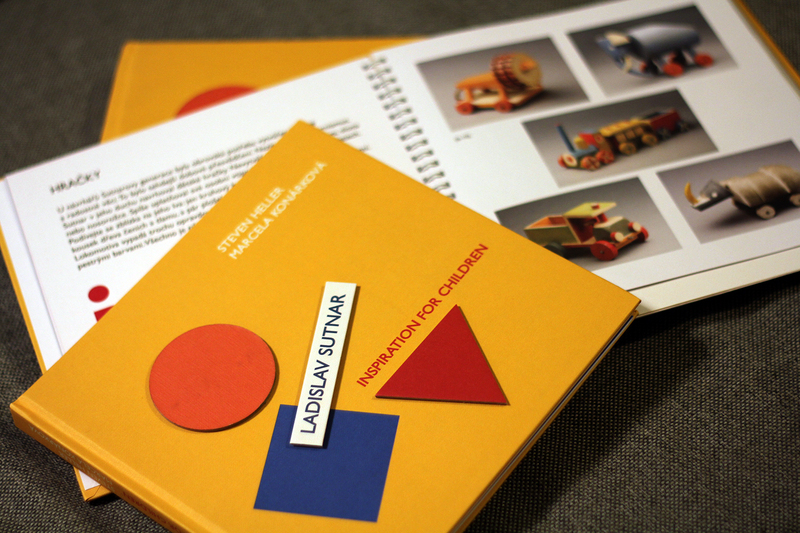 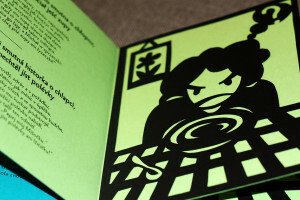 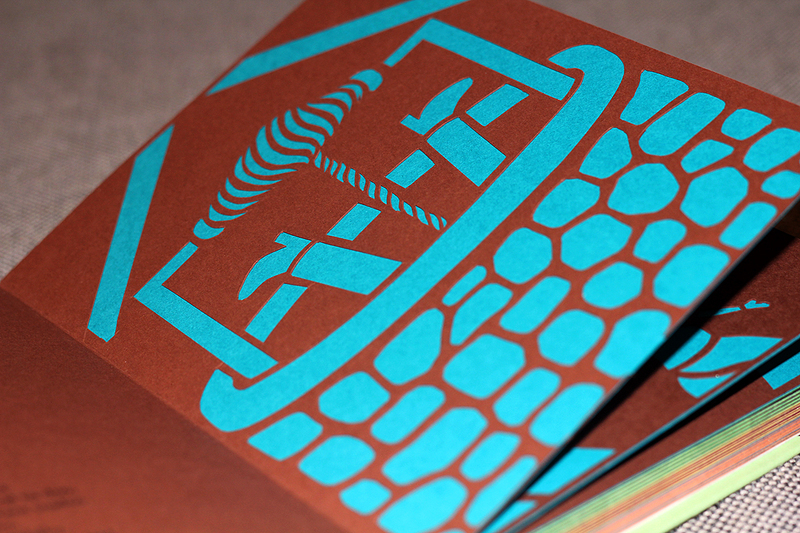 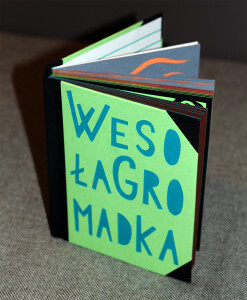 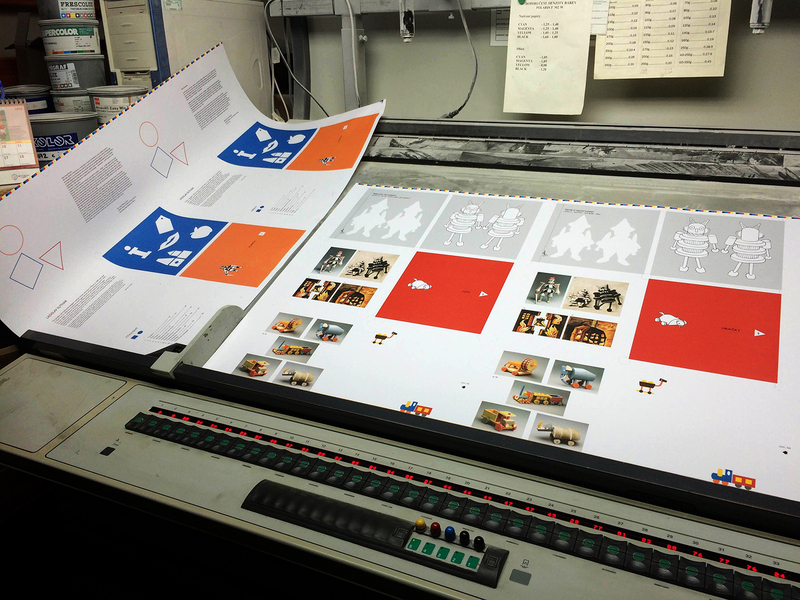 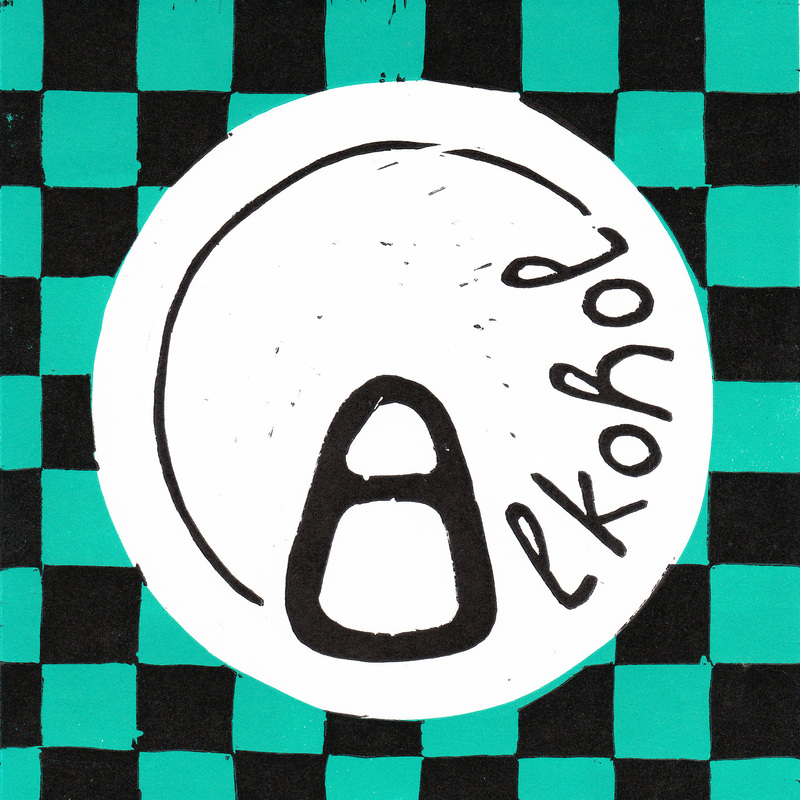 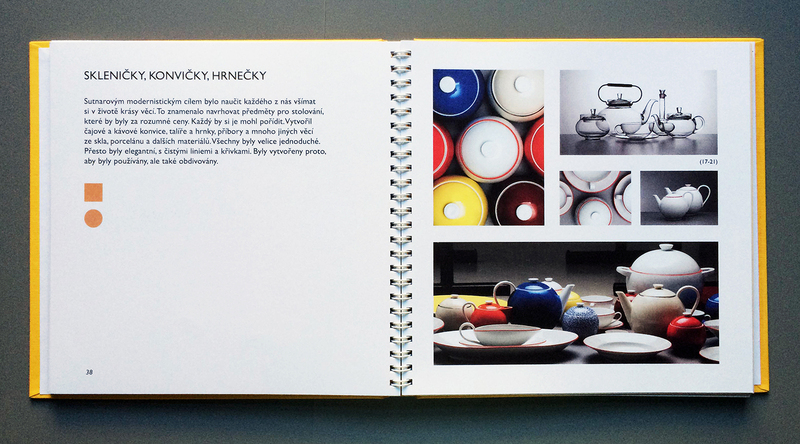 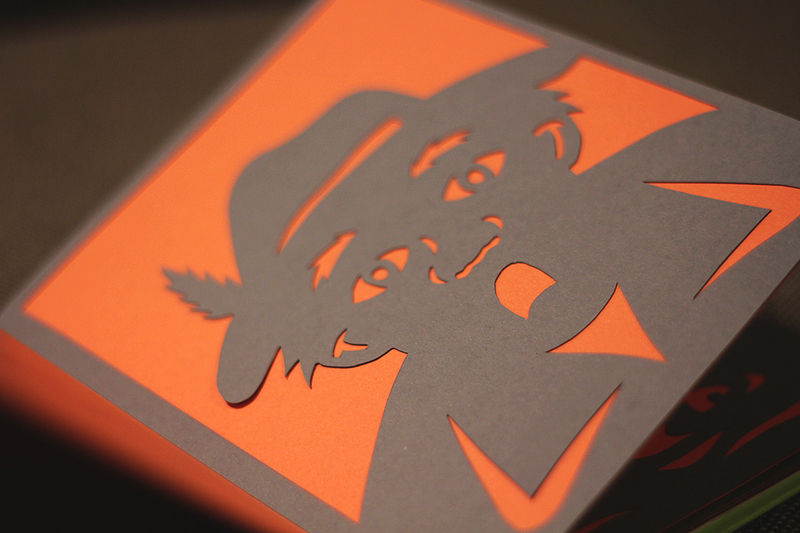 The book was created in Ladislav Sutnar Faculty of Design and Art in Pilsen, 2015. 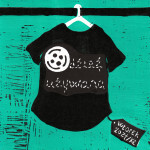 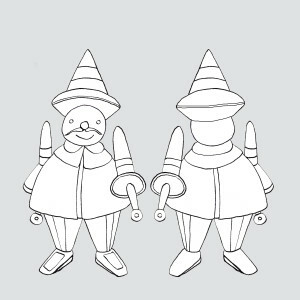 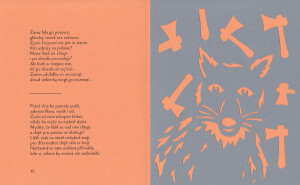 It was published in two language versions and the script is witten by a famous american graphic designer Steven Heller. 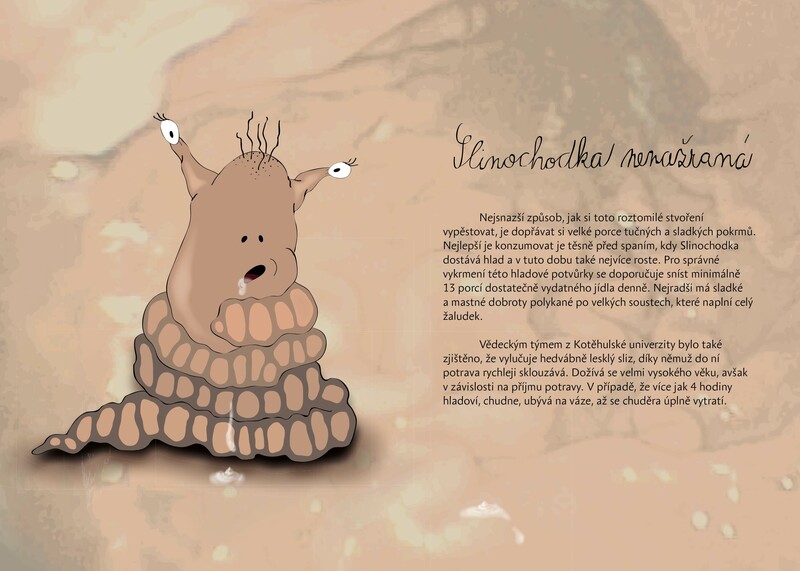 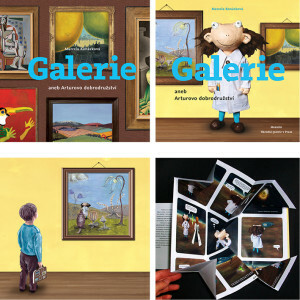 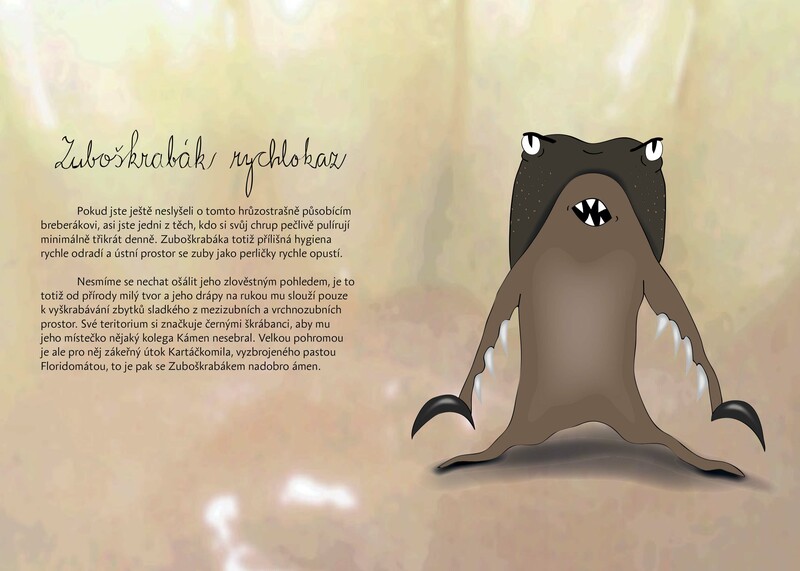 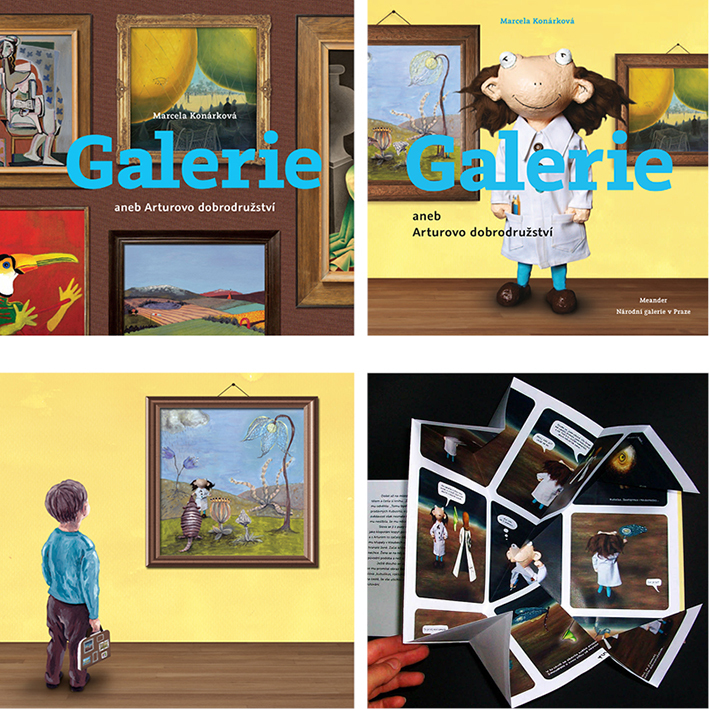 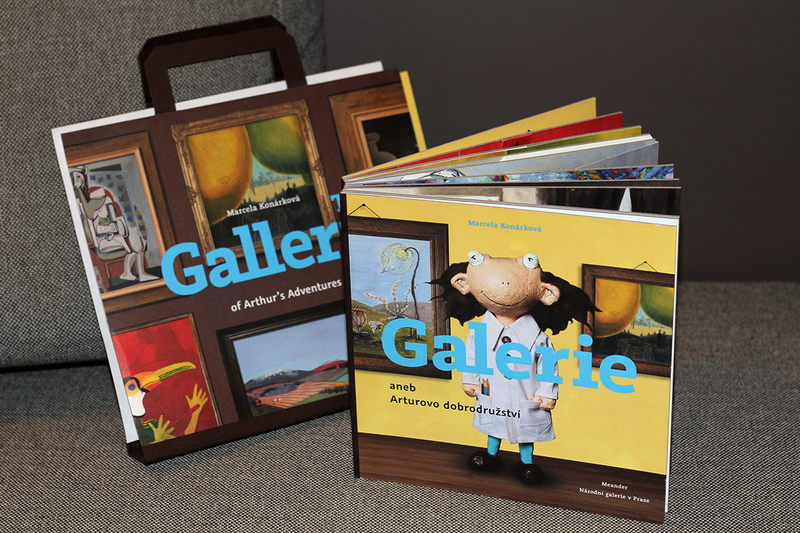 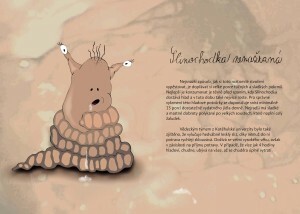 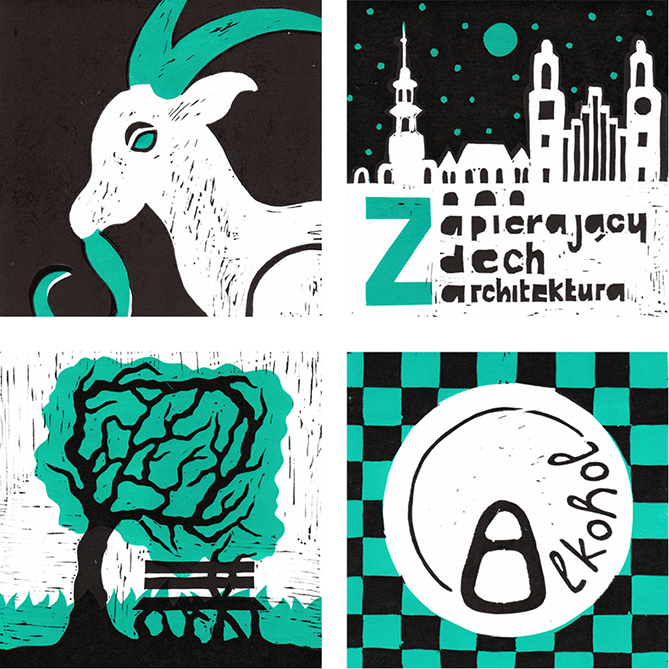 Interactive book for children telling a story about a little fellow named Arthur, who wanders through paintings in the gallery of Czech art and enjoys various adventures here. 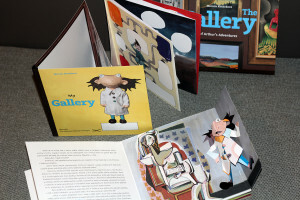 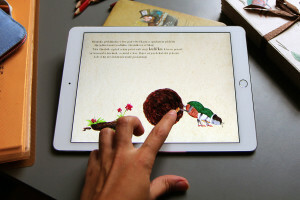 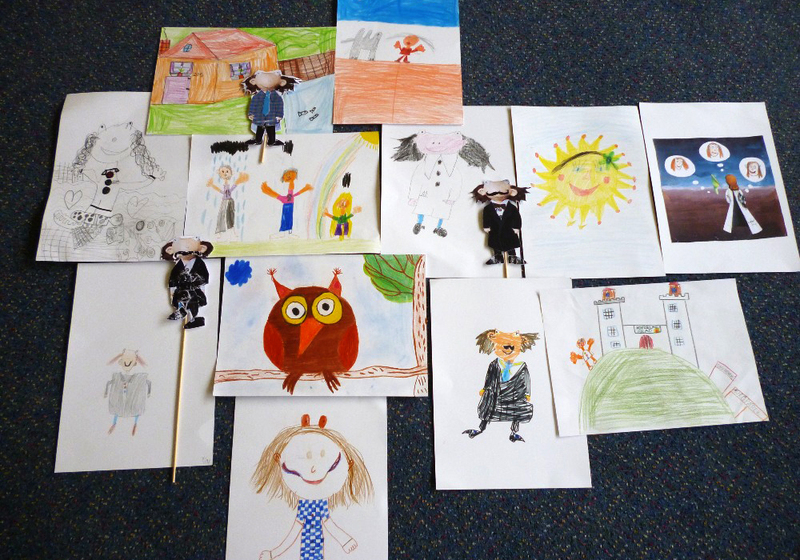 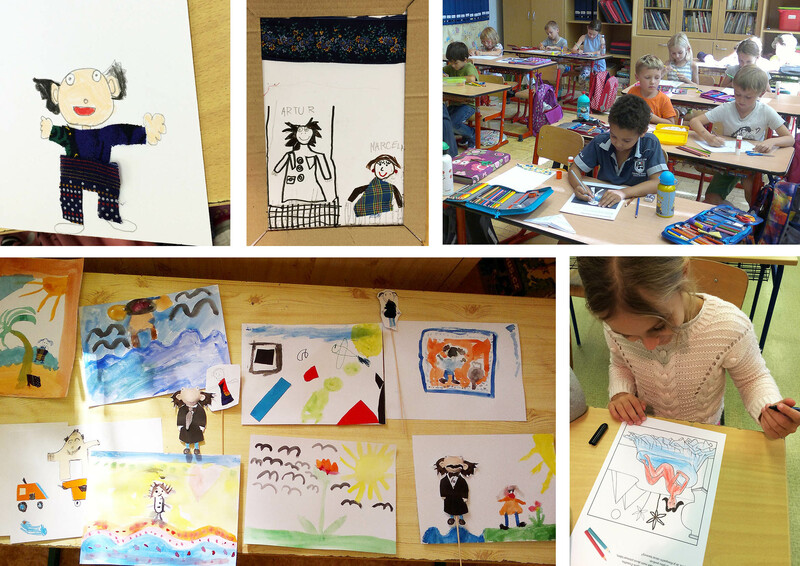 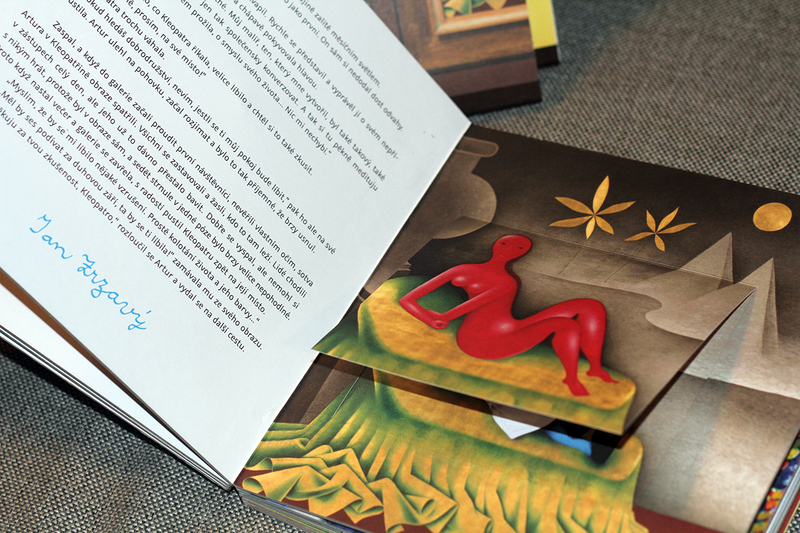 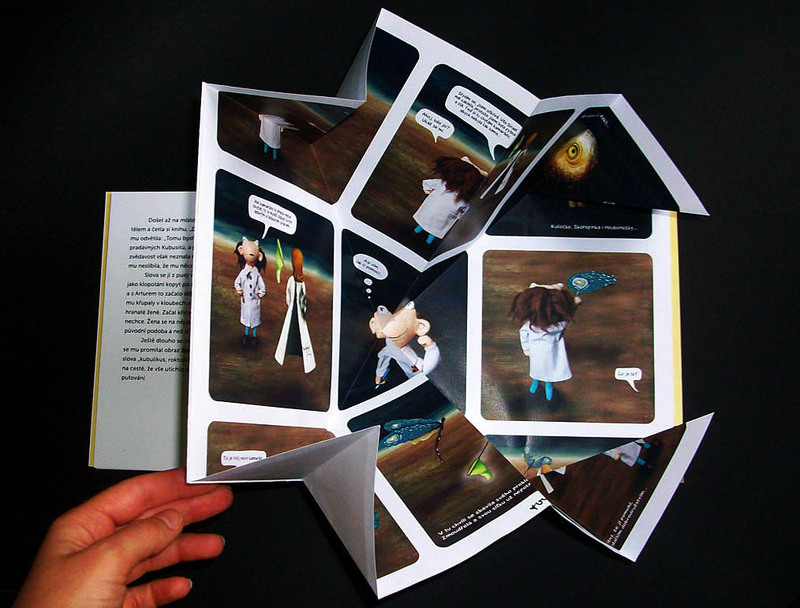 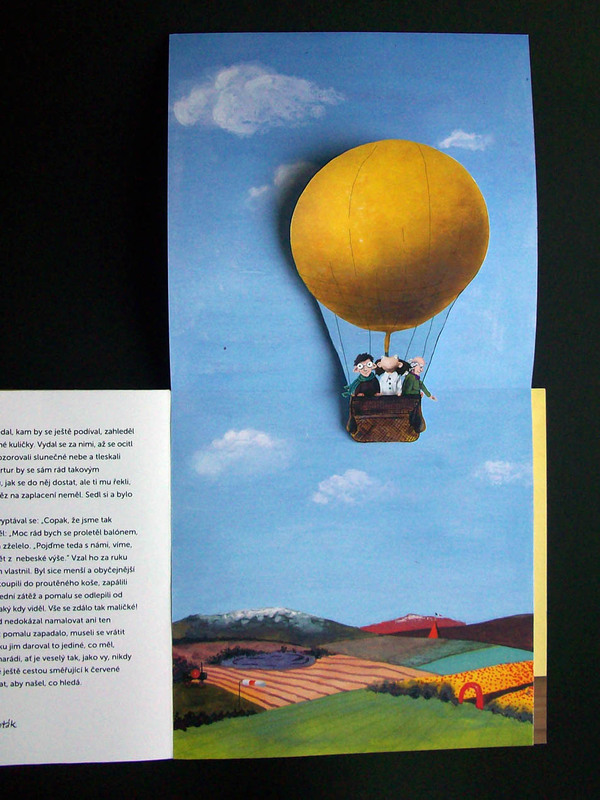 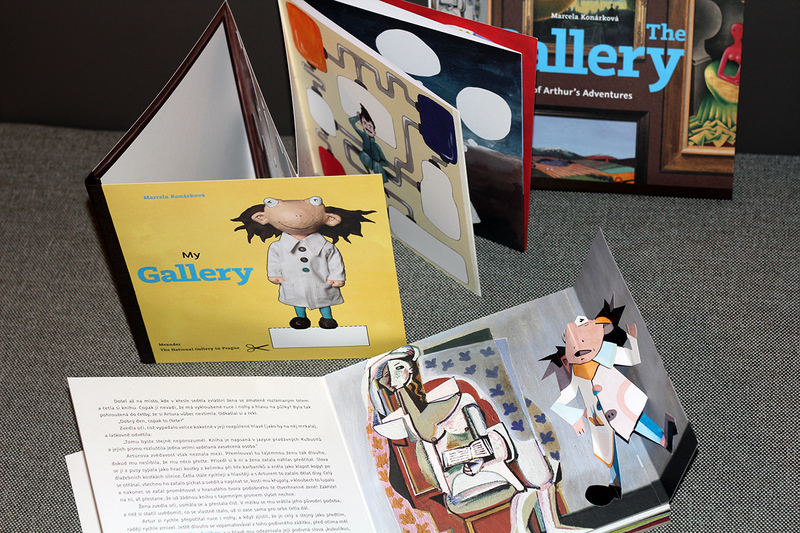 An interactive folder book called „My Gallery“ is also part of the book, which allows children to apply their knowledge gained from the pop-up book, which is second part of the book, to engage their imagination and become part of the story. 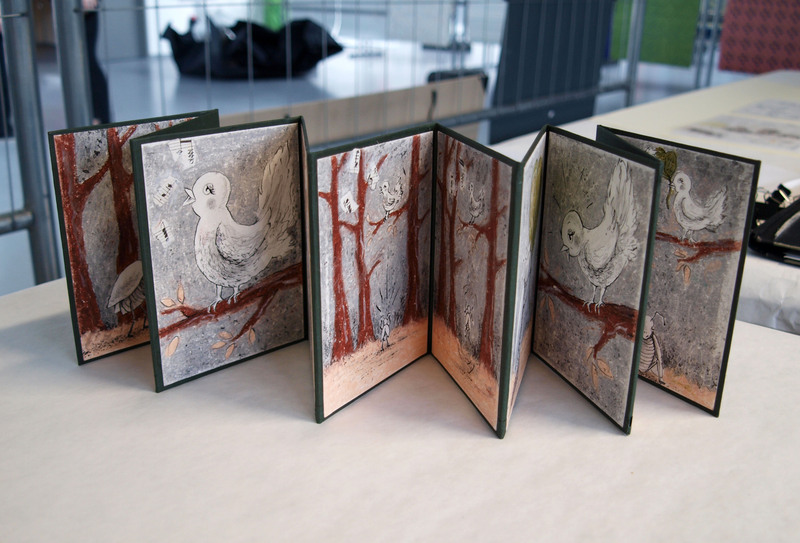 The pop-up book and folder book are kept in a special case, which serves as their cover and protect them in a library. 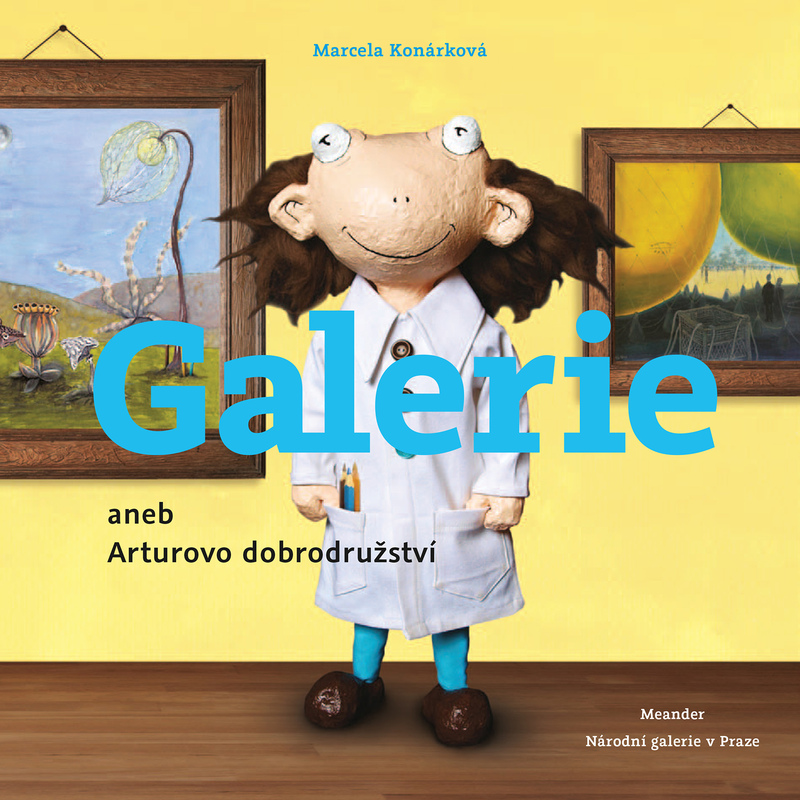 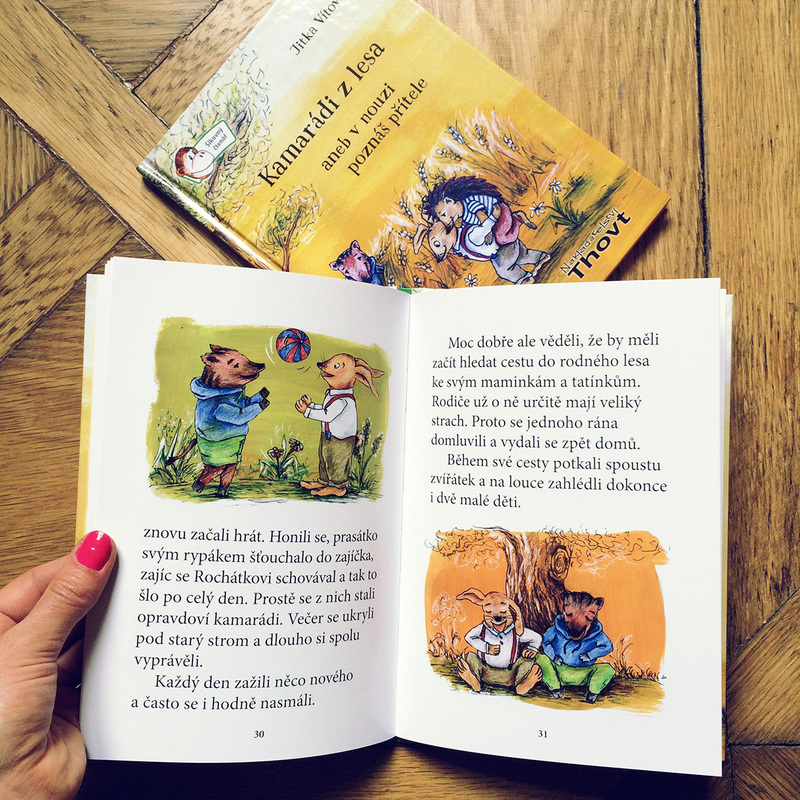 The book was published in Czech and English language versions by Meander publishing house and National gallery publishing house in 2015. This author´s folder book was created during three day workshop in Pilsen with Marcella Brancaforte, professor at the University of Frosinone, Italy. 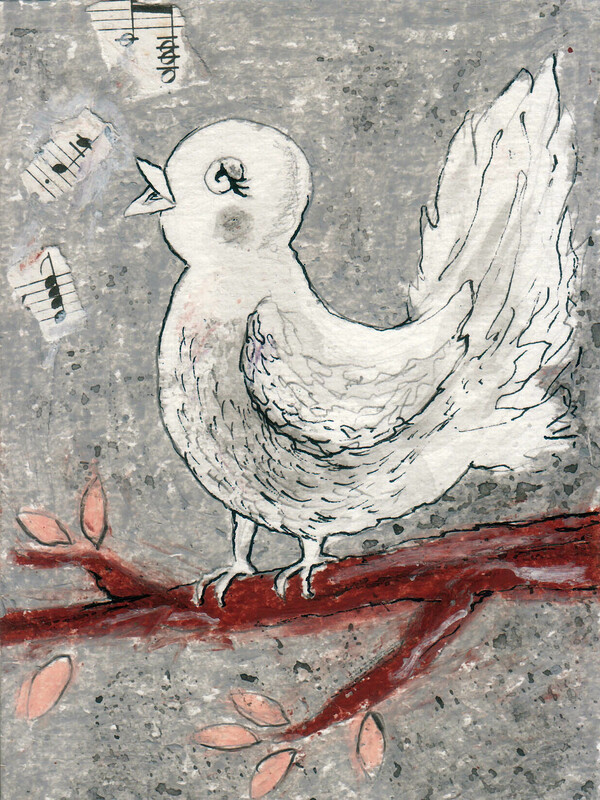 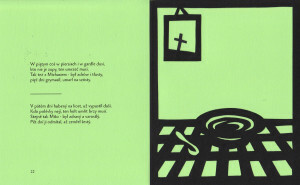 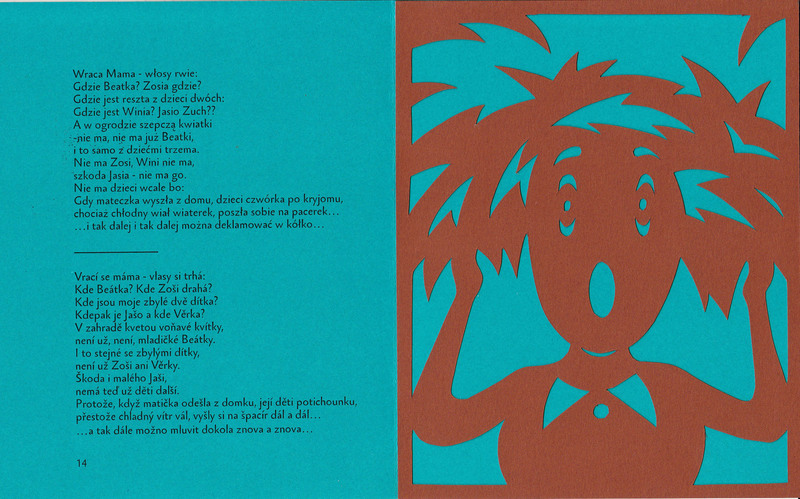 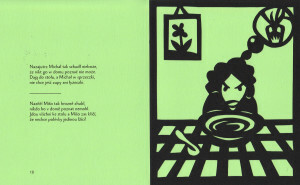 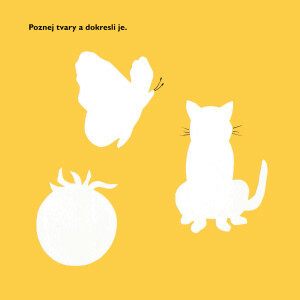 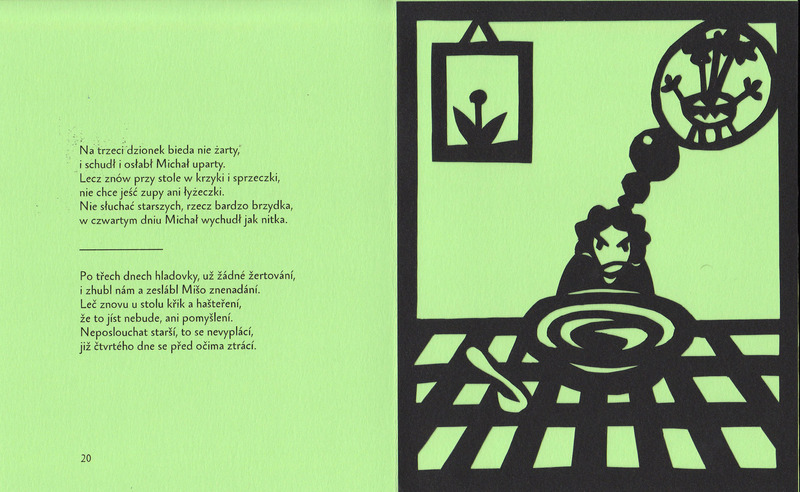 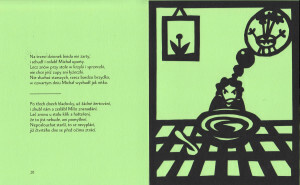 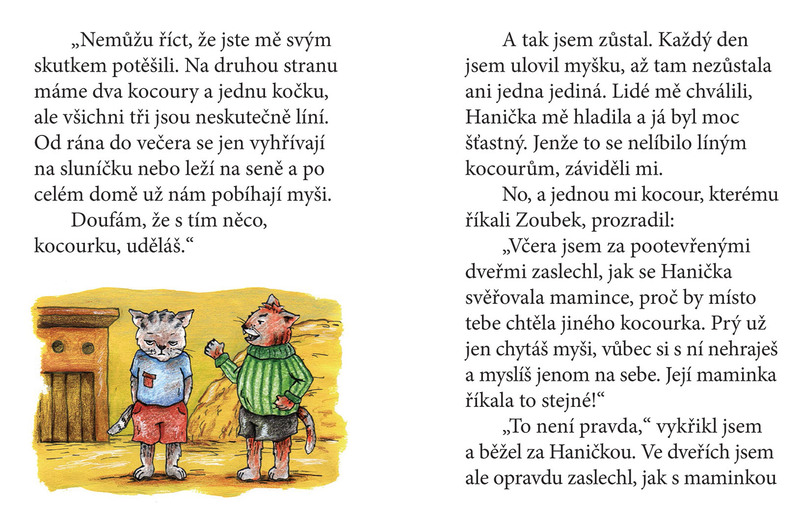 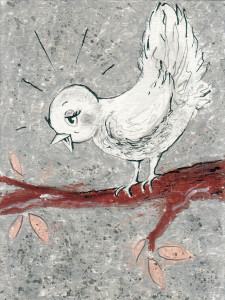 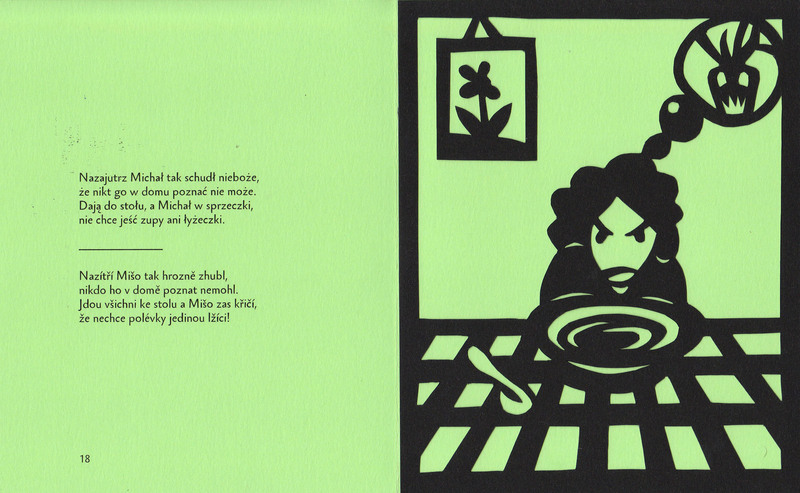 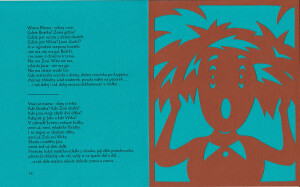 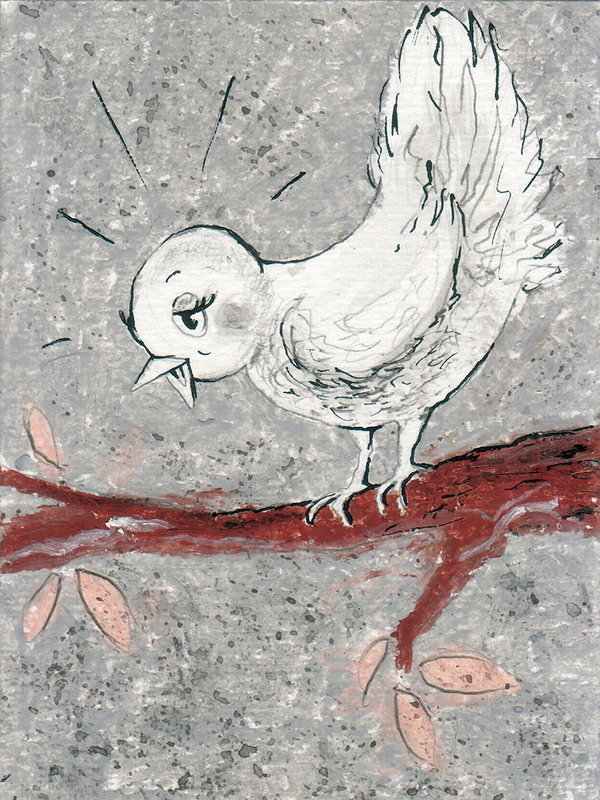 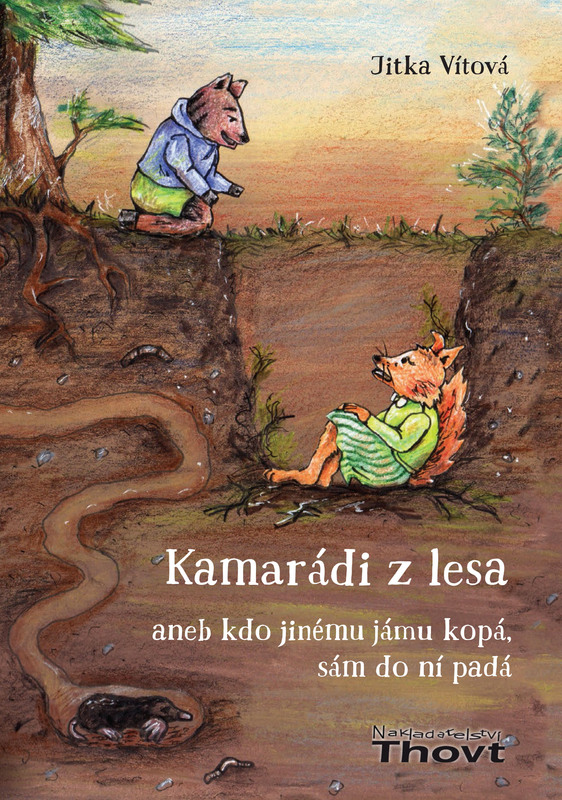 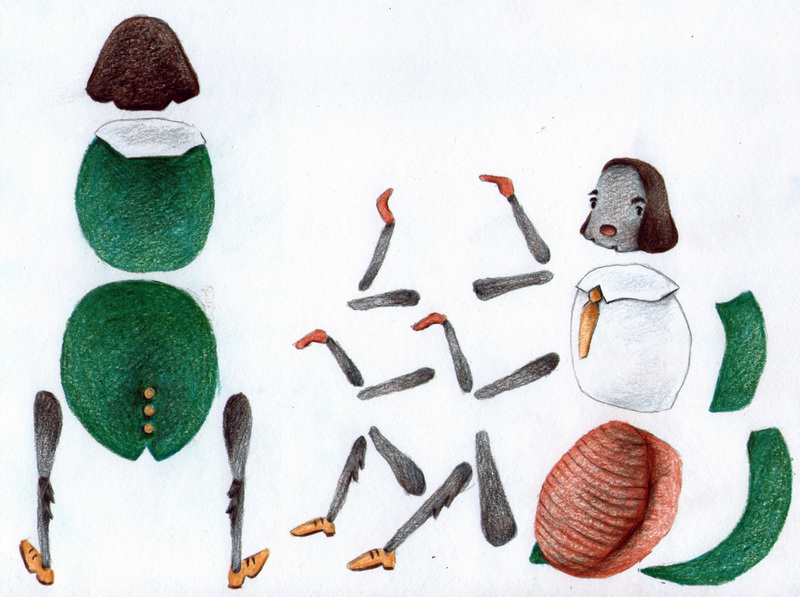 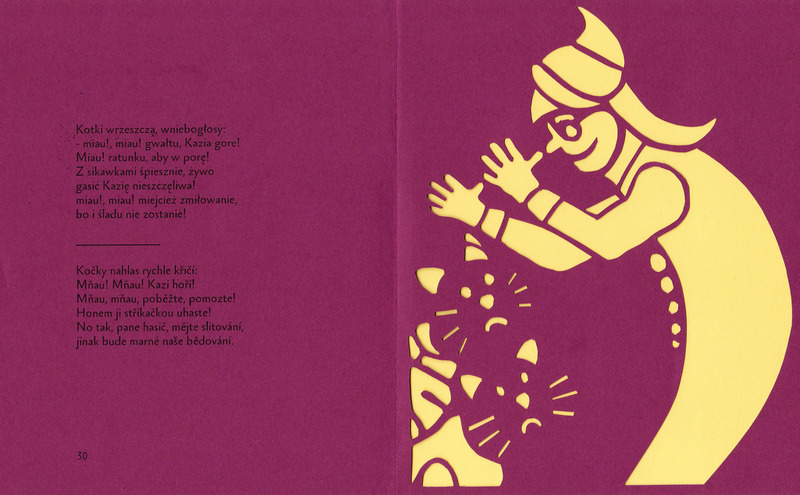 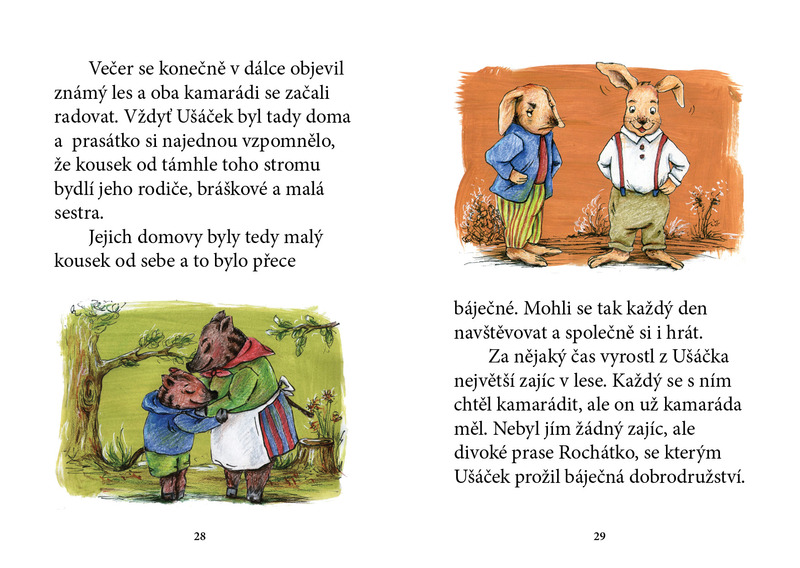 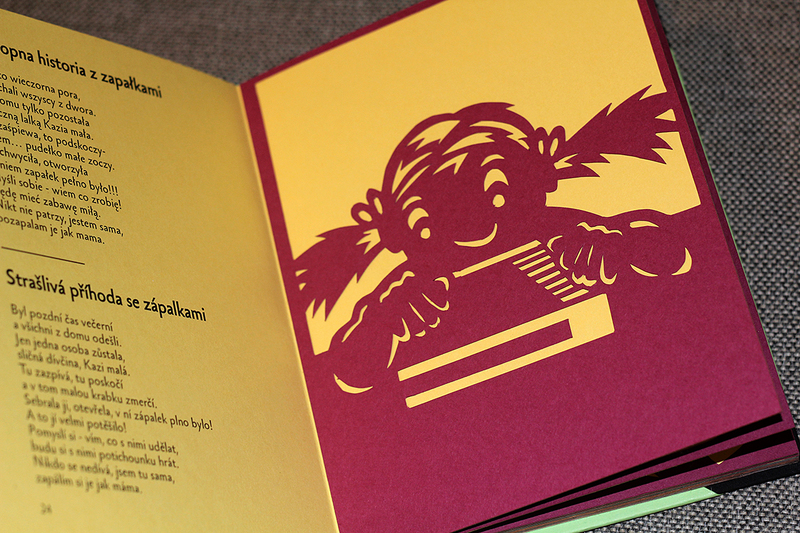 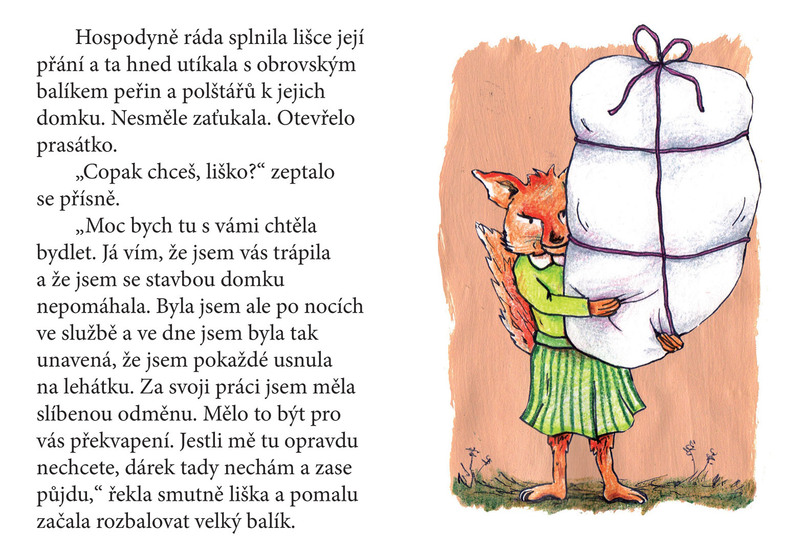 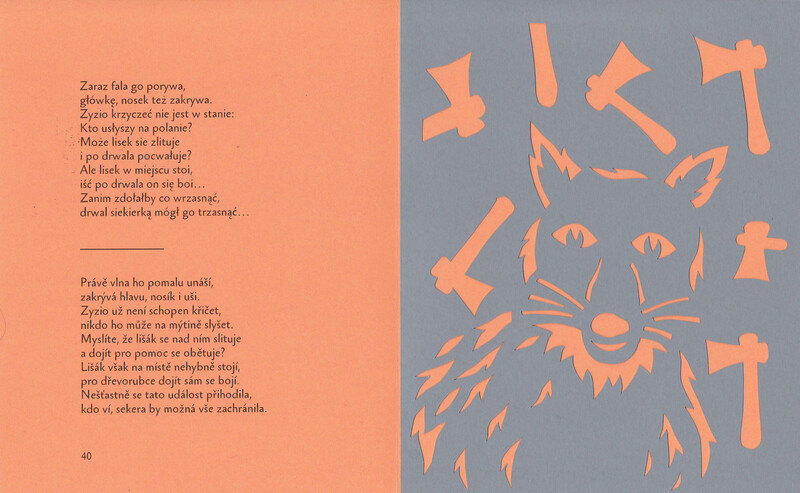 Czech-Polish book of rhymes for children. 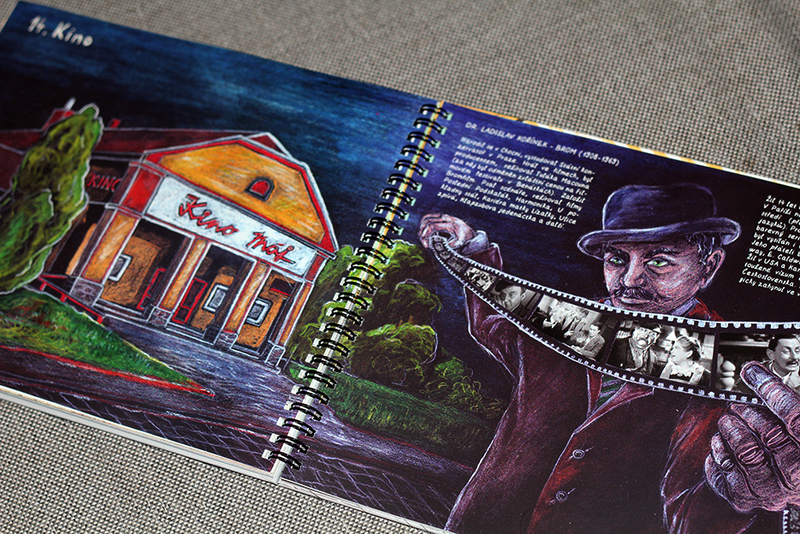 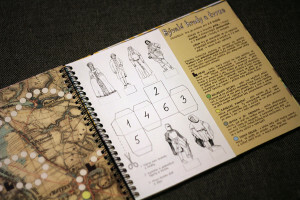 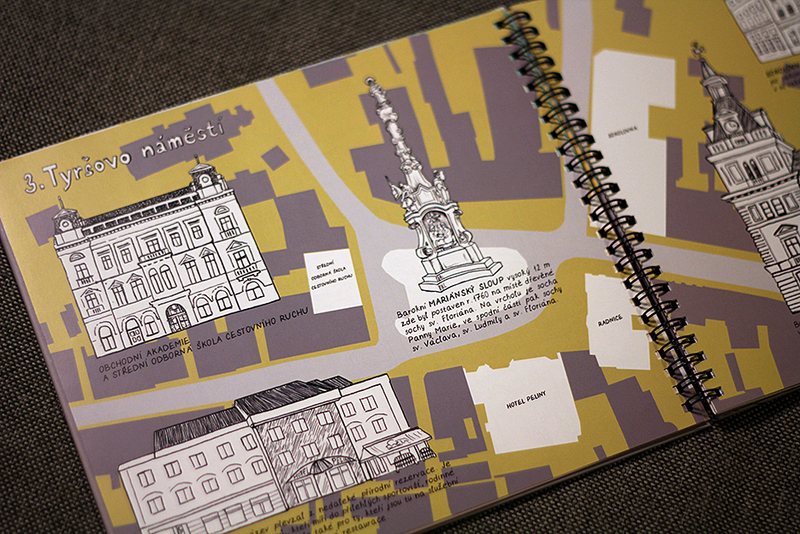 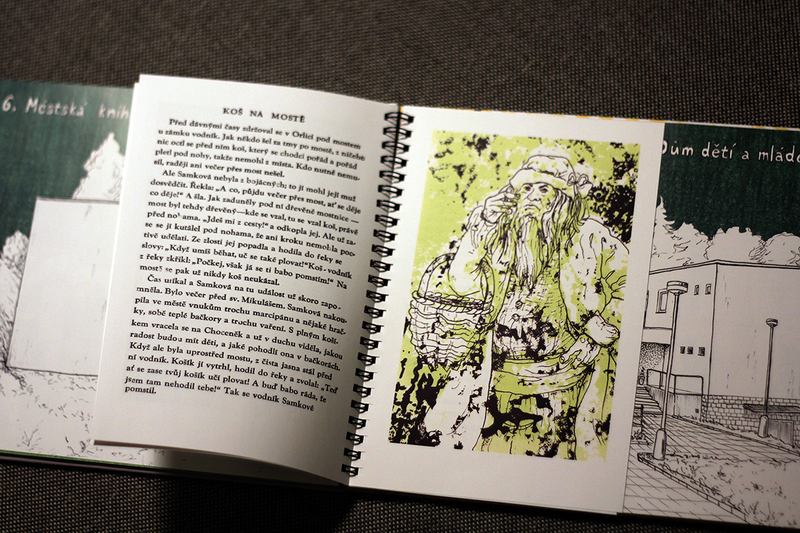 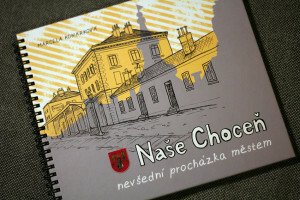 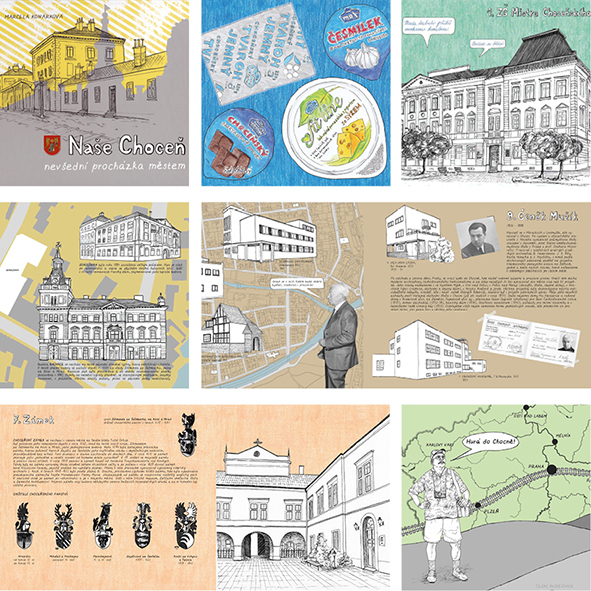 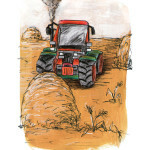 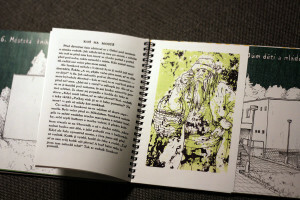 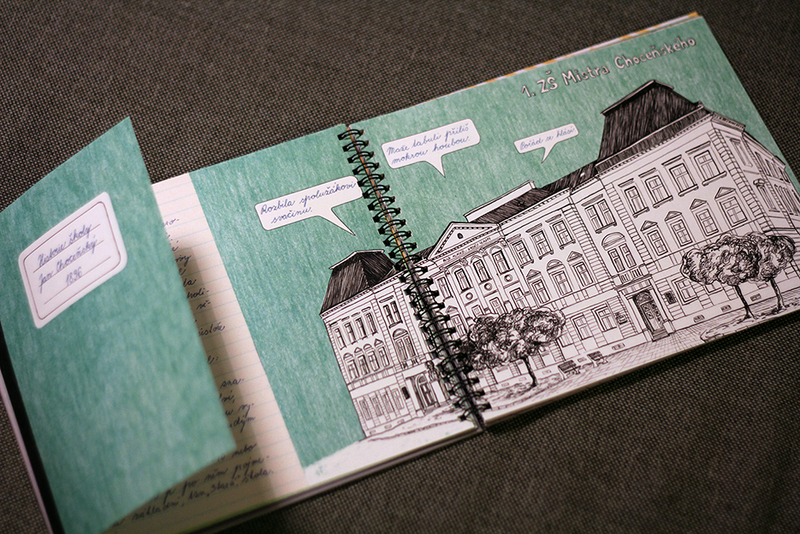 Author´s book of illustrated interesting facts about my home town. 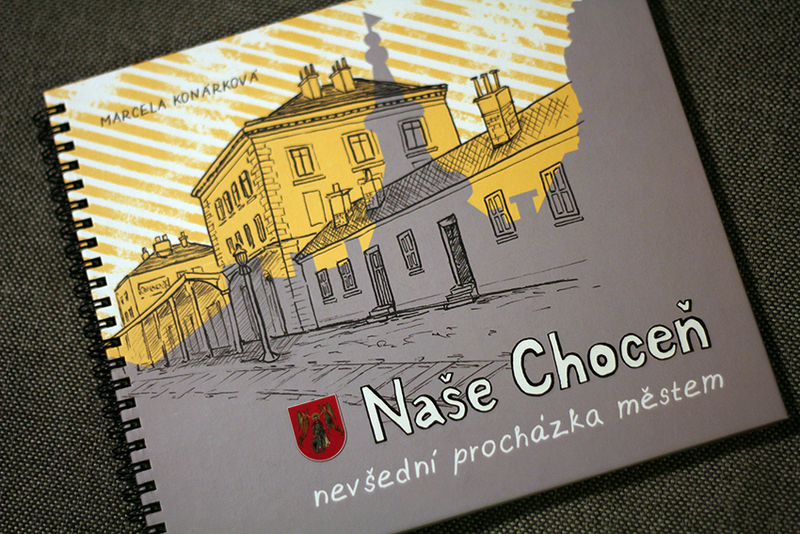 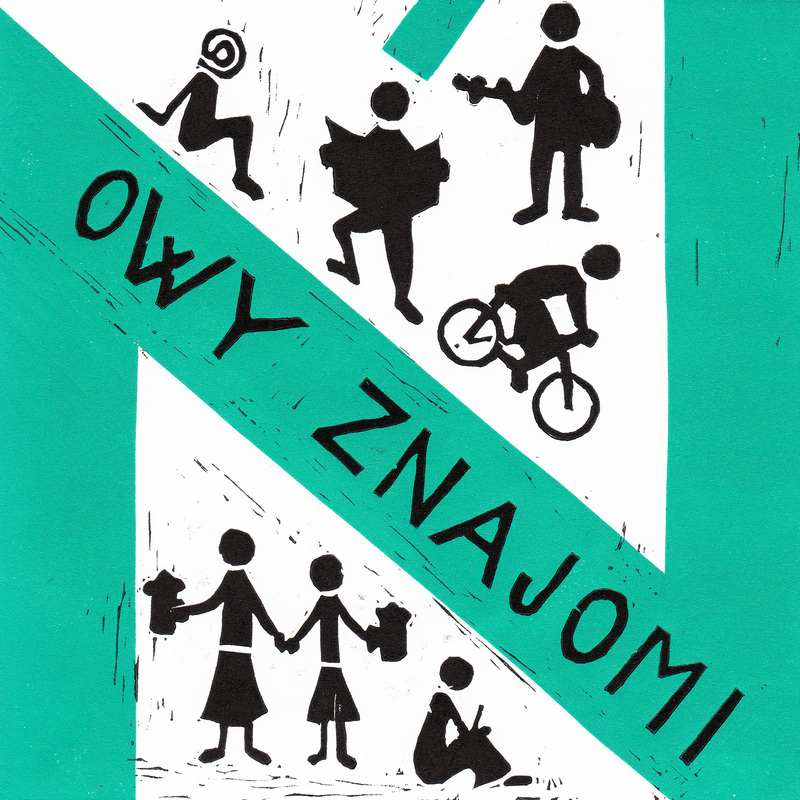 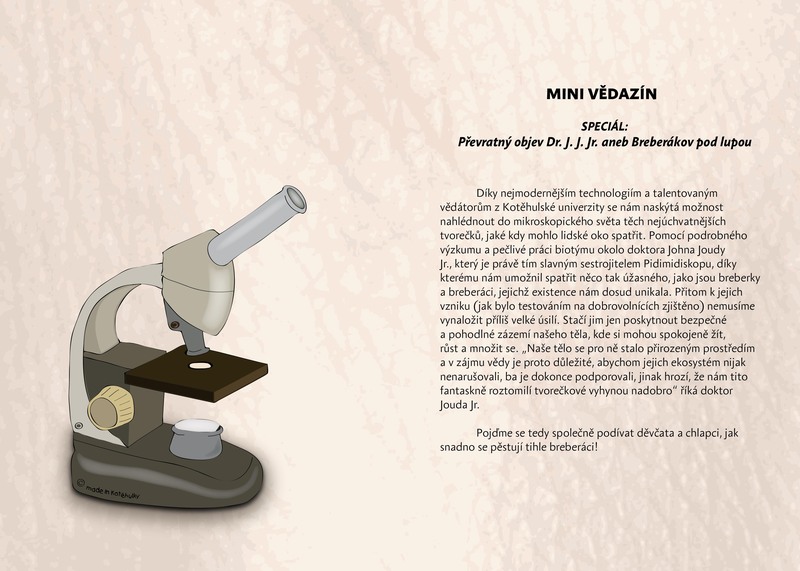 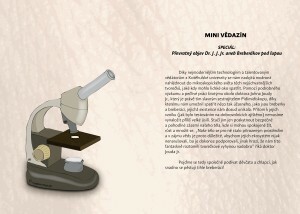 The book was published in 2012by Flétna, Říčky publishing house. 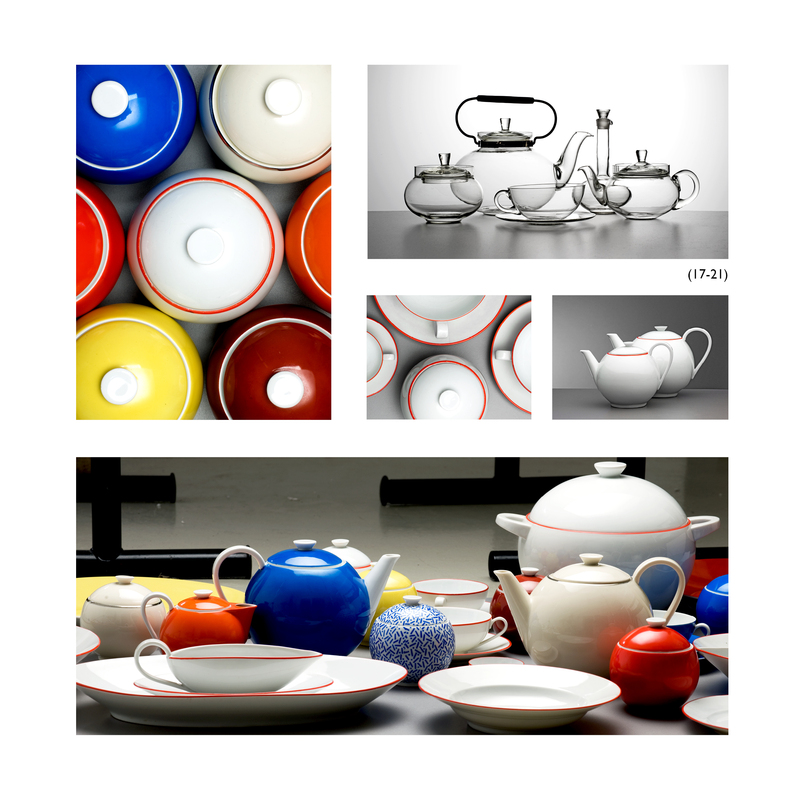 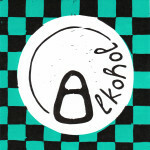 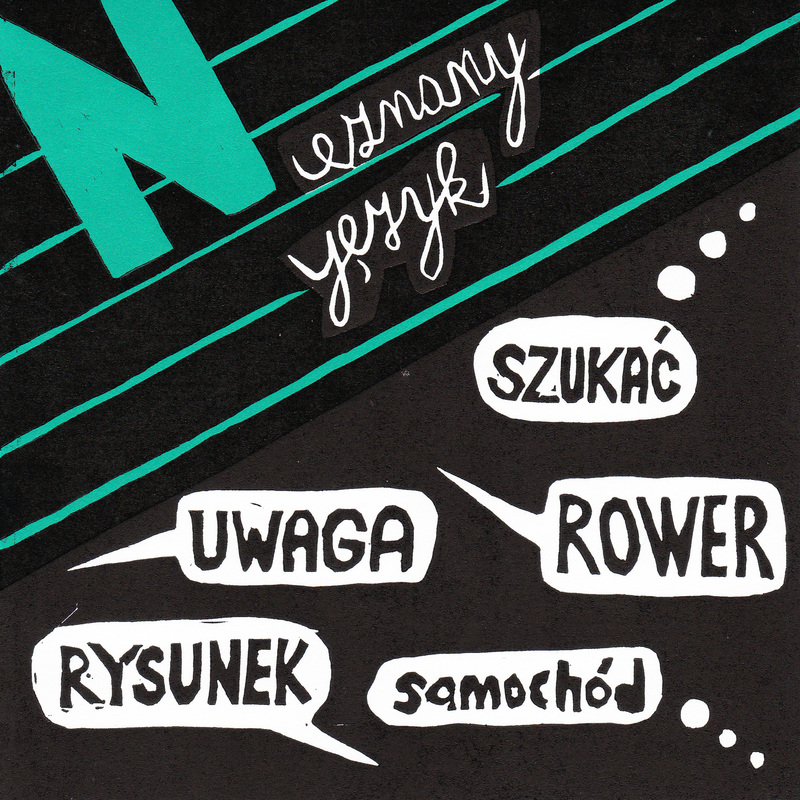 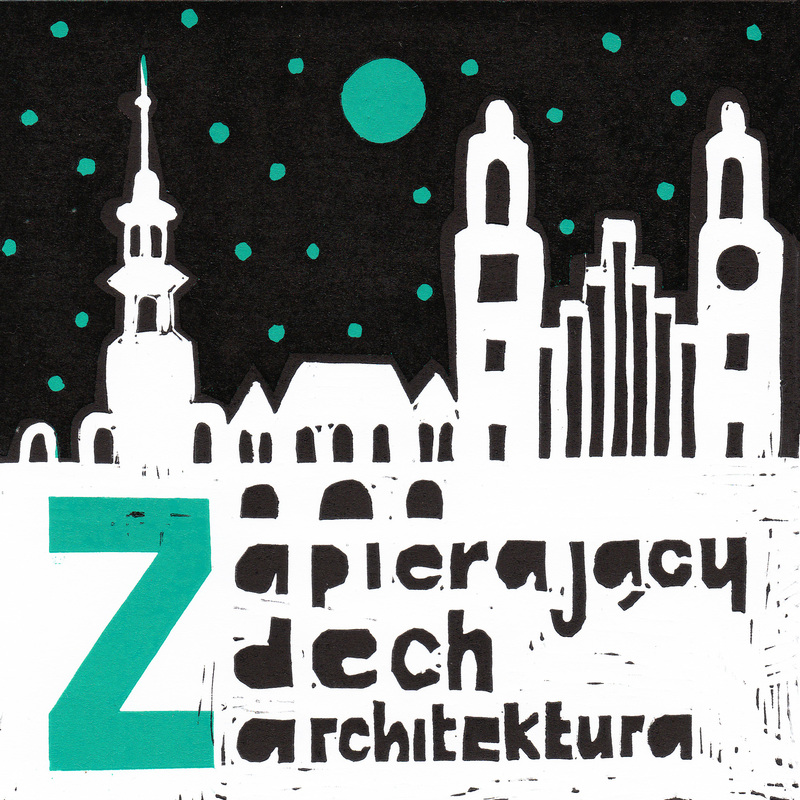 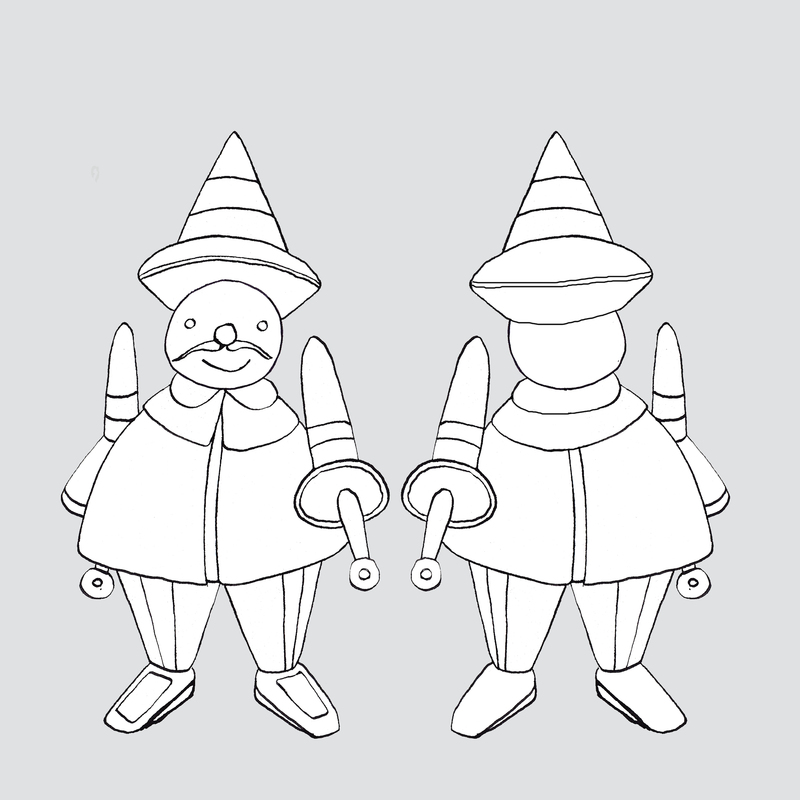 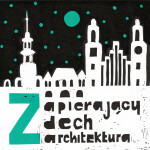 It was originally created as a bachelor thesis on Ladislav Sutnar’s Faculty of Design and Art in Pilsen.